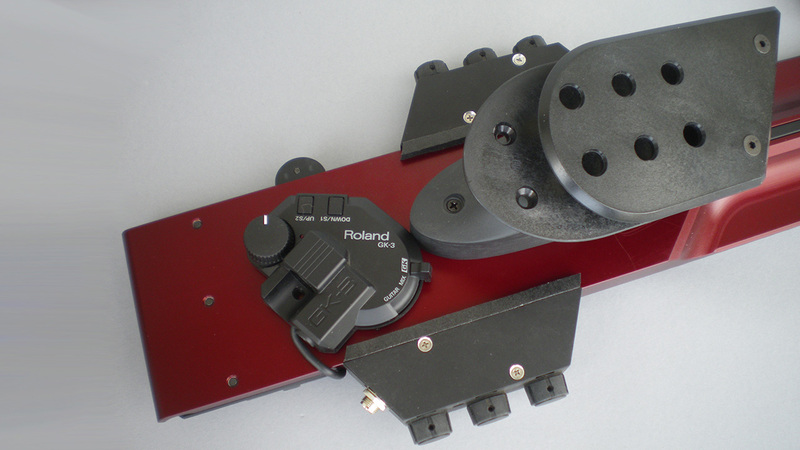 Click the thumbnails below for slideshows of some recent prodution instruments. 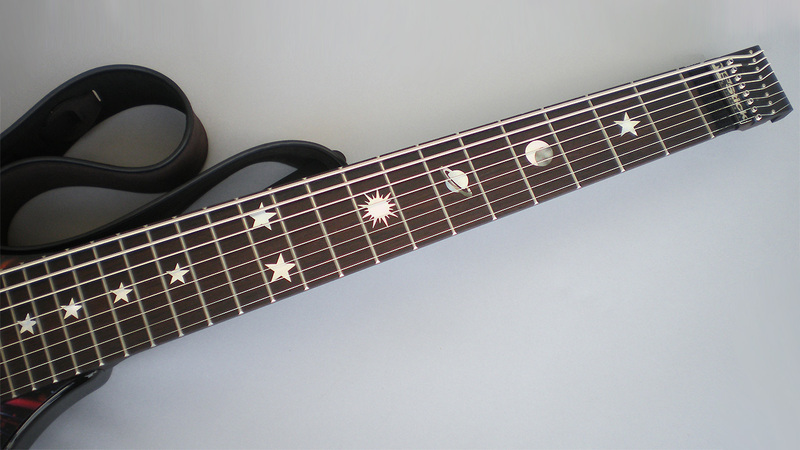 Custom "Warp Burst" NS/Stick™, gloss black lacquered maple body and wenge neck w/custom white pearl shell inlays. 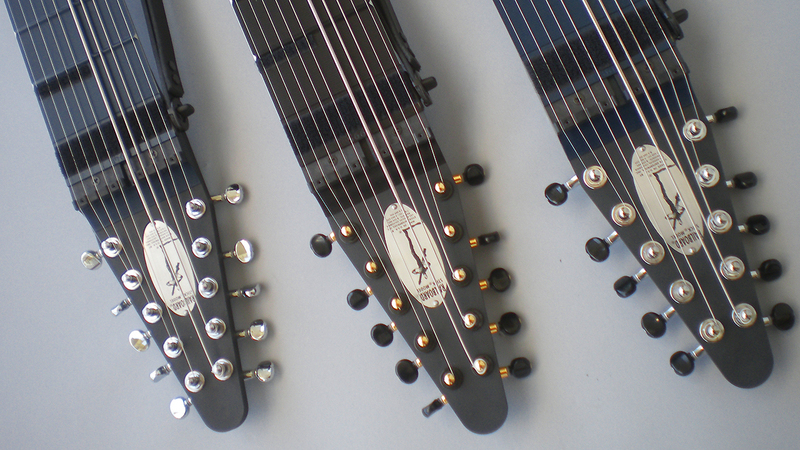 NS/Stick with gloss black lacquered maple body and wenge neck, custom "Warp Burst" finish and custom white pearl inlays. 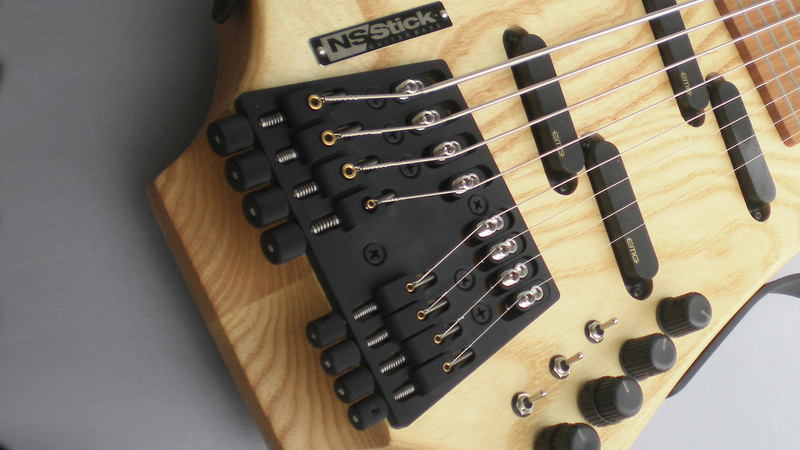 NS/Stick with gloss black lacquered maple body and wenge neck, quad active EMG pickups, standard. 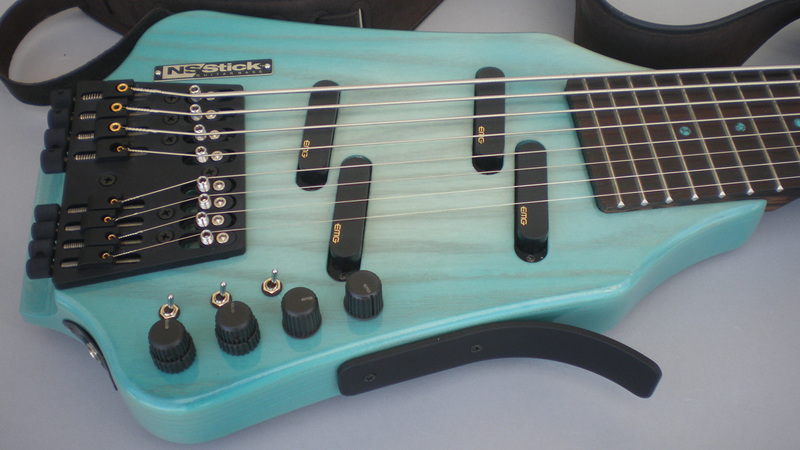 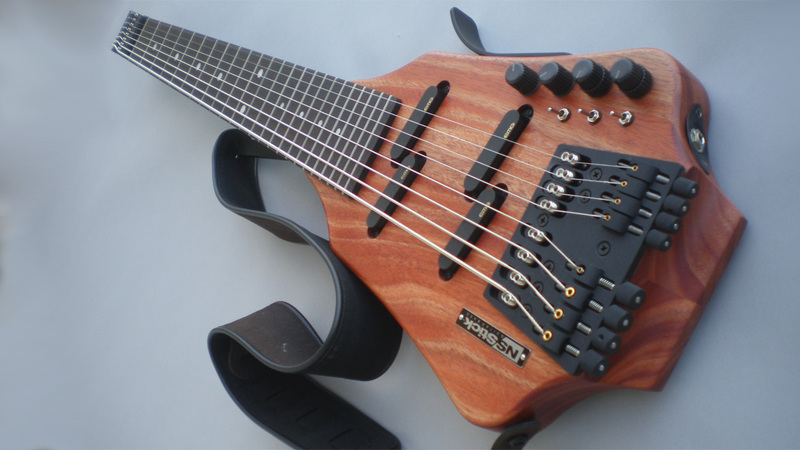 NS/Stick, with active electronics, two sets of volume, bass and treble eq and pickups selector and stereo/mono switches. 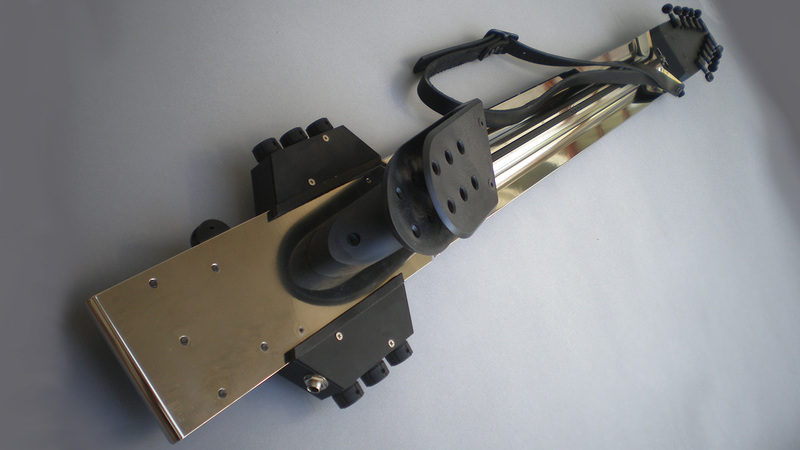 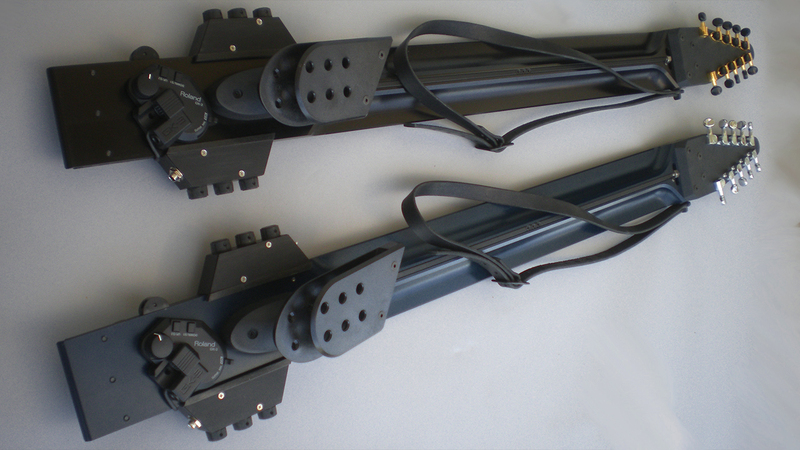 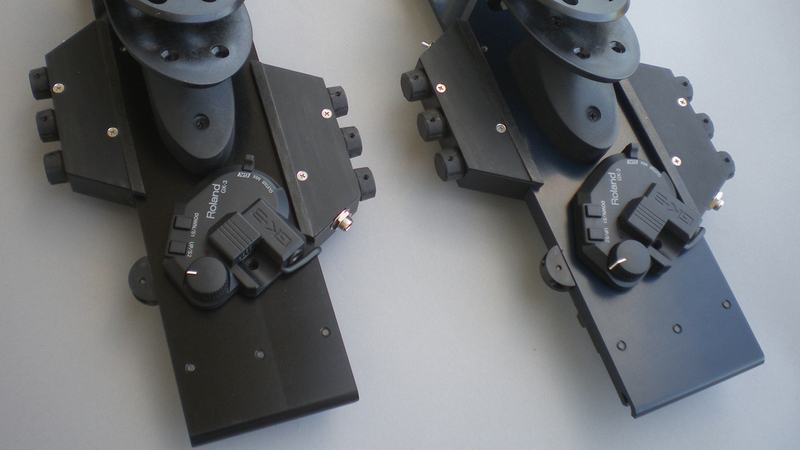 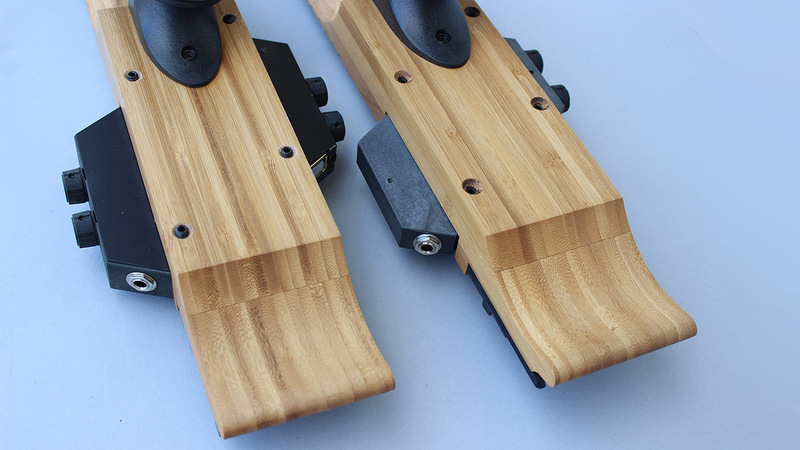 Retractable damper and side-saddle adjustable nut screws. 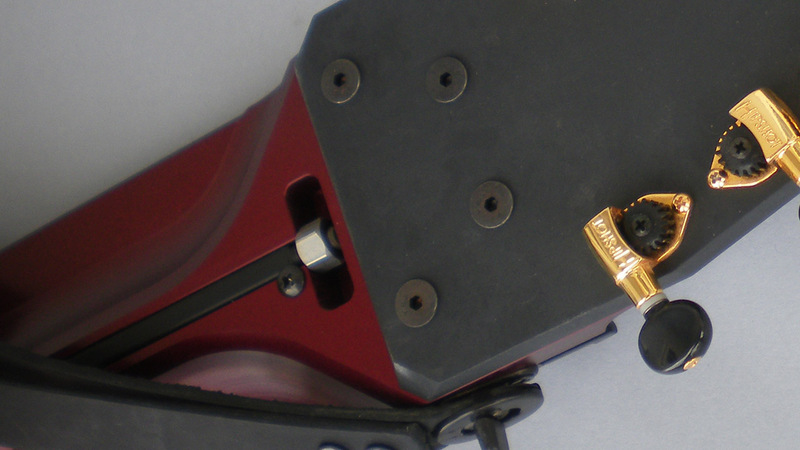 Adjustabl nut and retractable damper detail view. 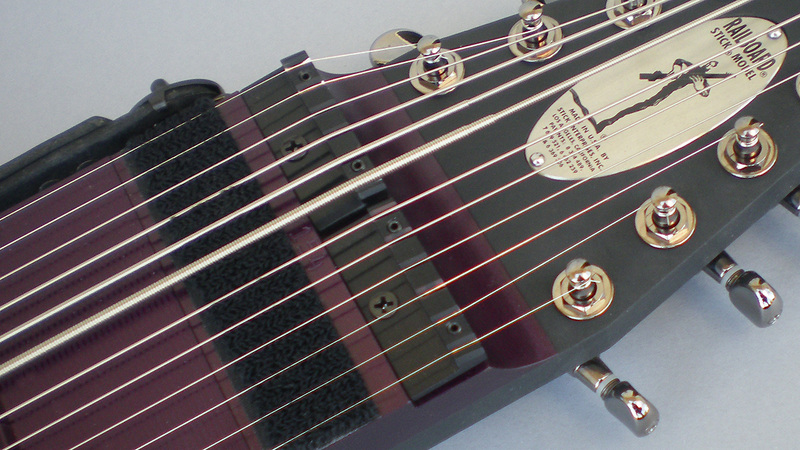 Easy access truss adjustment for fine-tuning the neck profile. 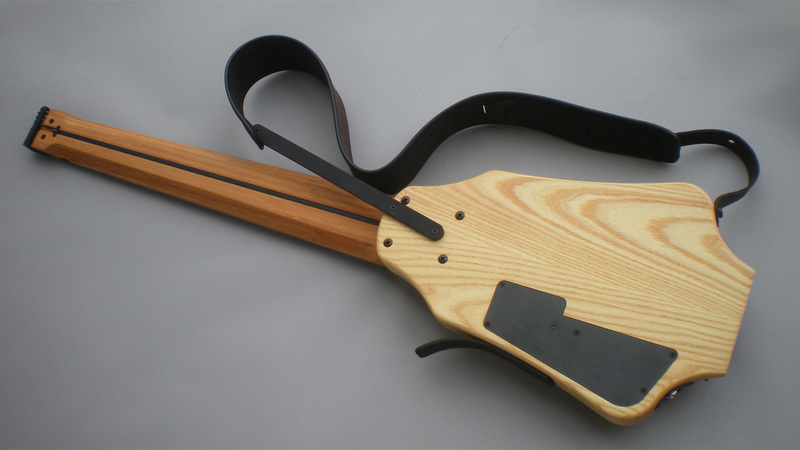 Battery access compartment, bolt-on neck, strap bar mount, trademark rear neck bevels. 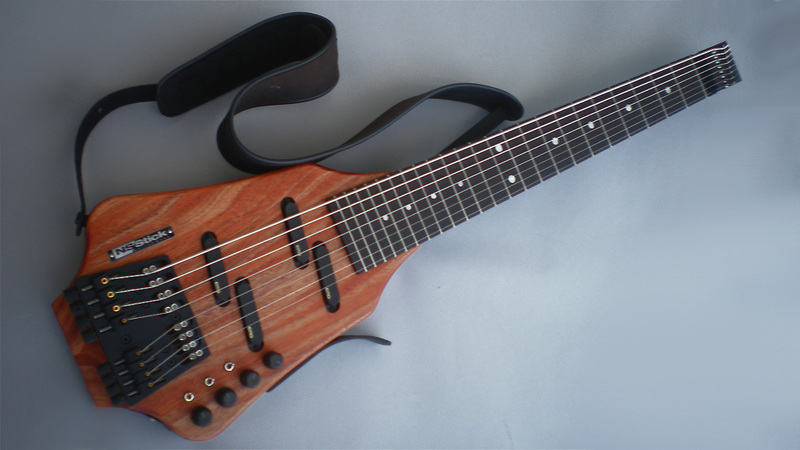 Mahogany NS/Stick™ with bamboo neck. 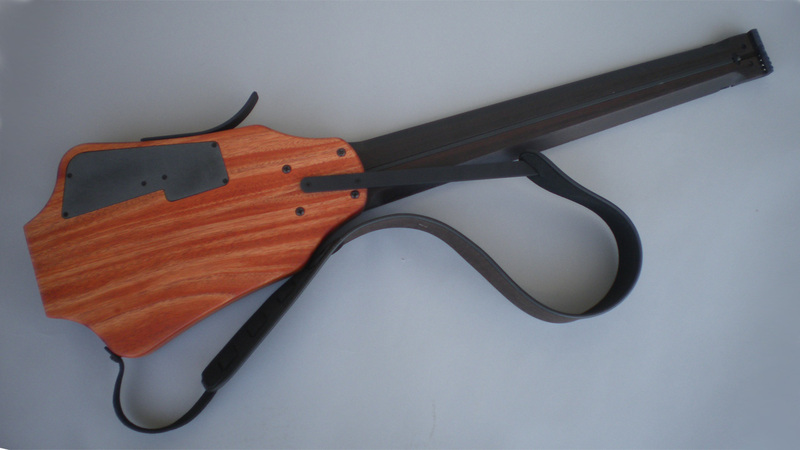 Mahogany NS/Stick with natural finish. 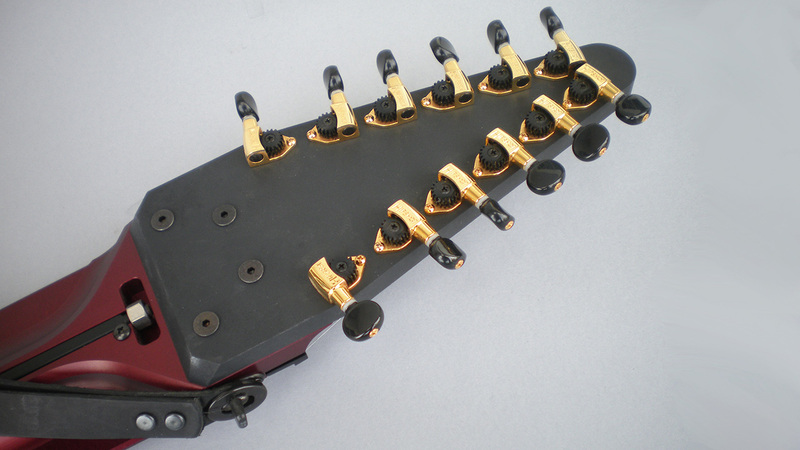 Red Grand Railboard with black and gold Hipshot tuners. 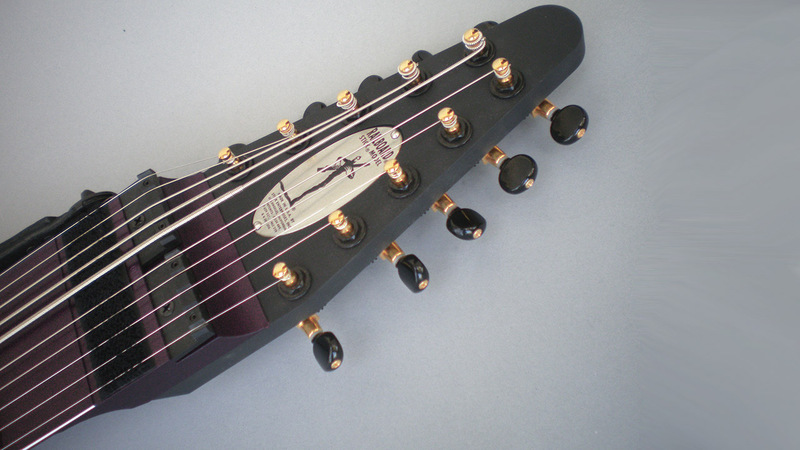 Bolt-on headstock and second adjustment nut to divide the truss rod. 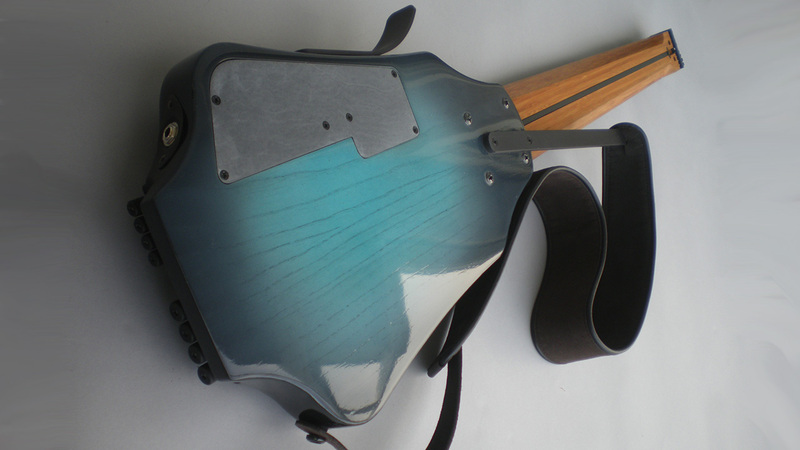 Roland GK preamp mounted on rear. 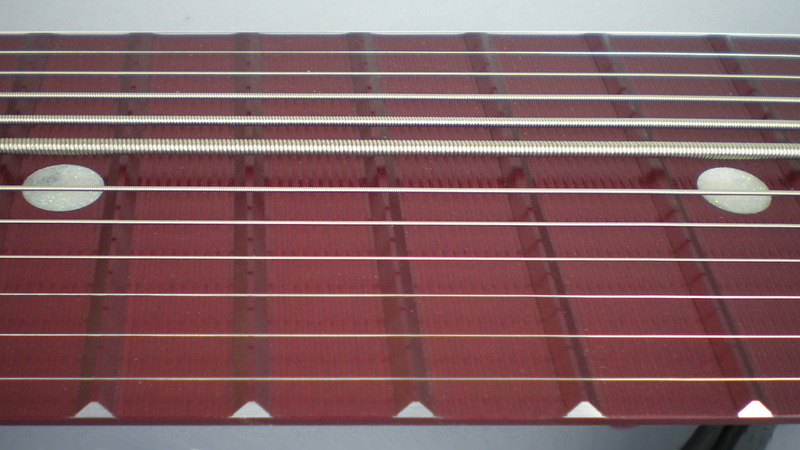 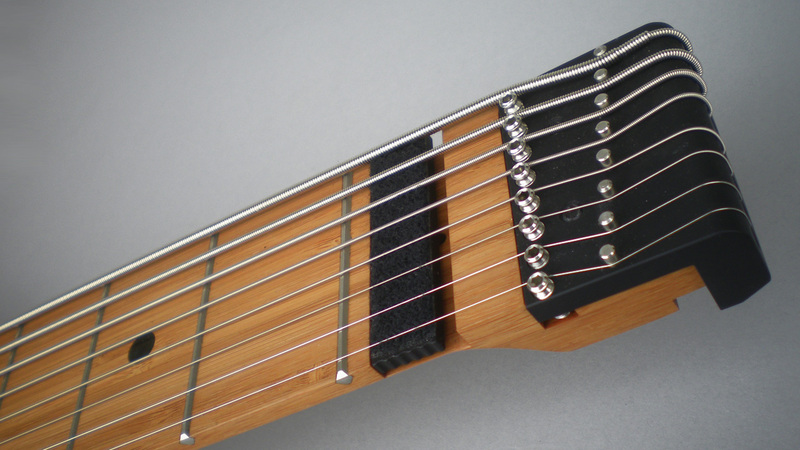 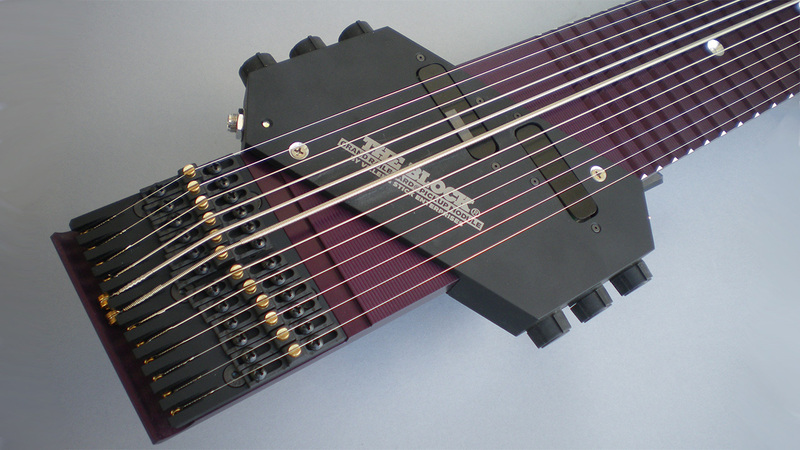 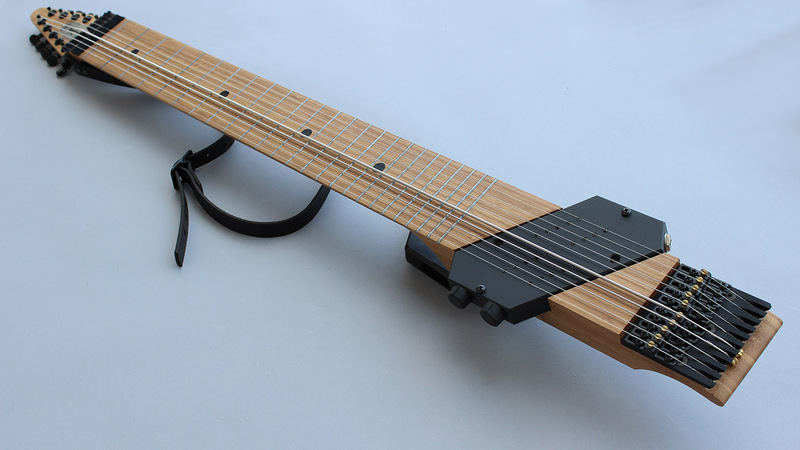 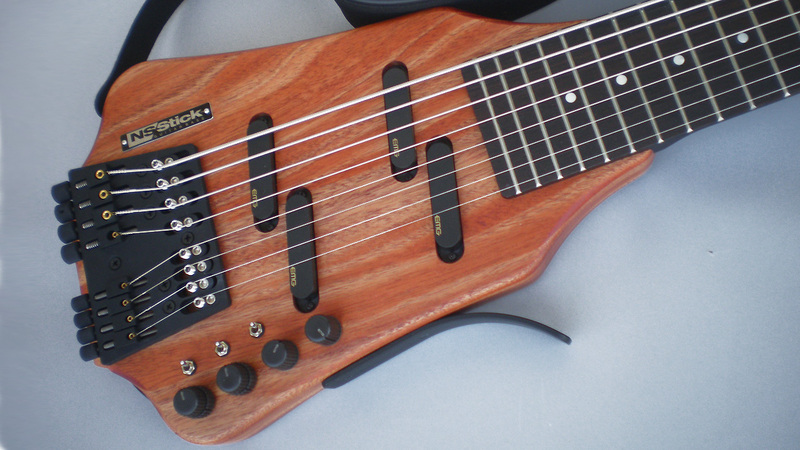 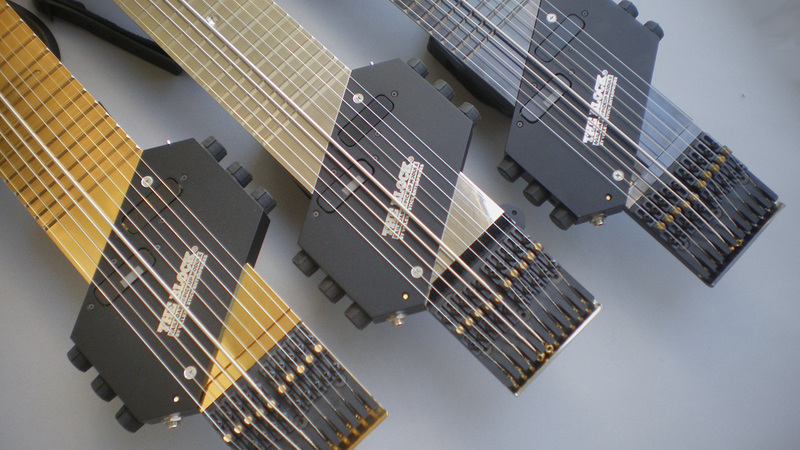 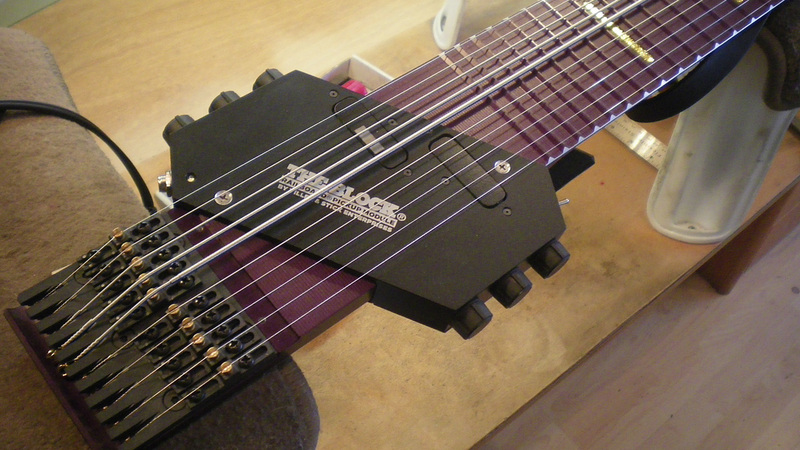 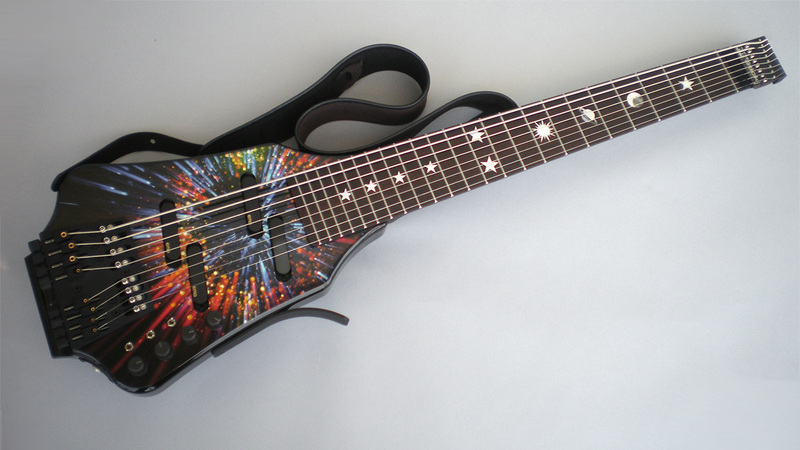 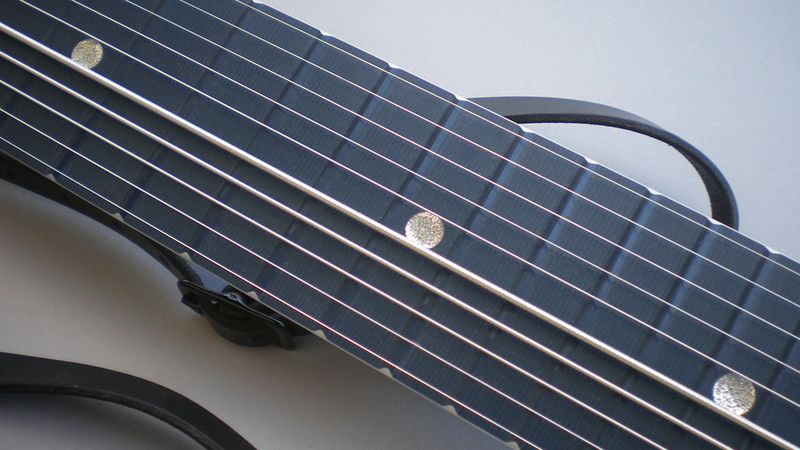 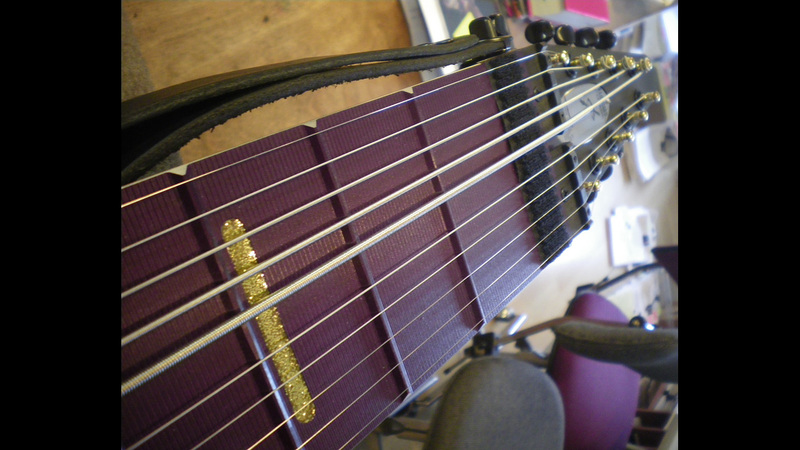 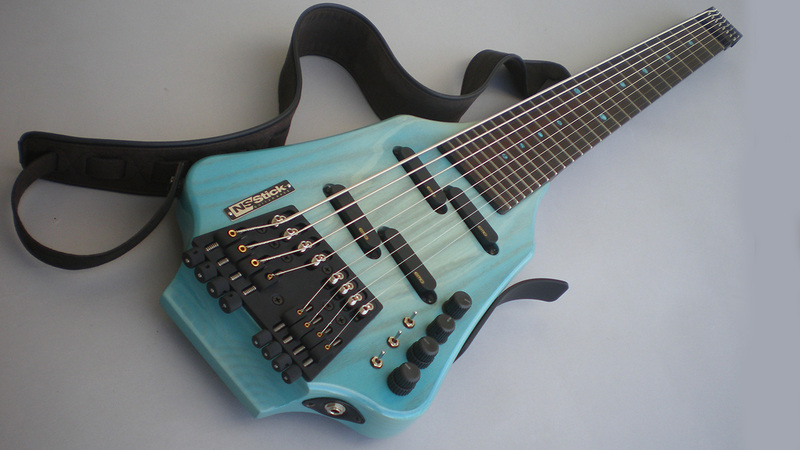 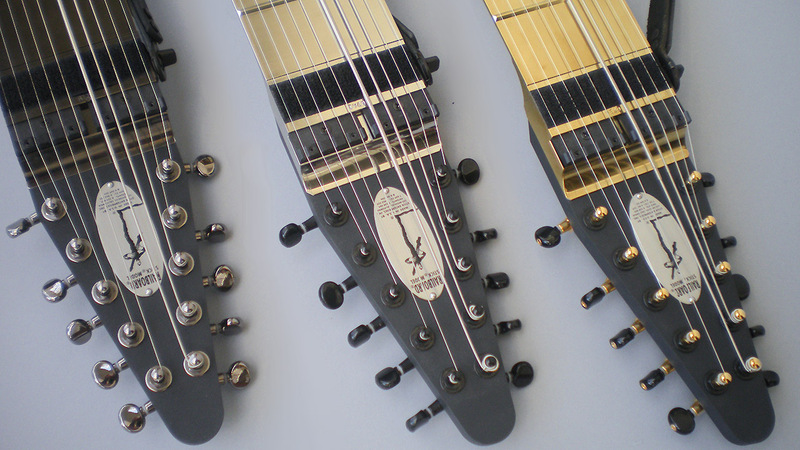 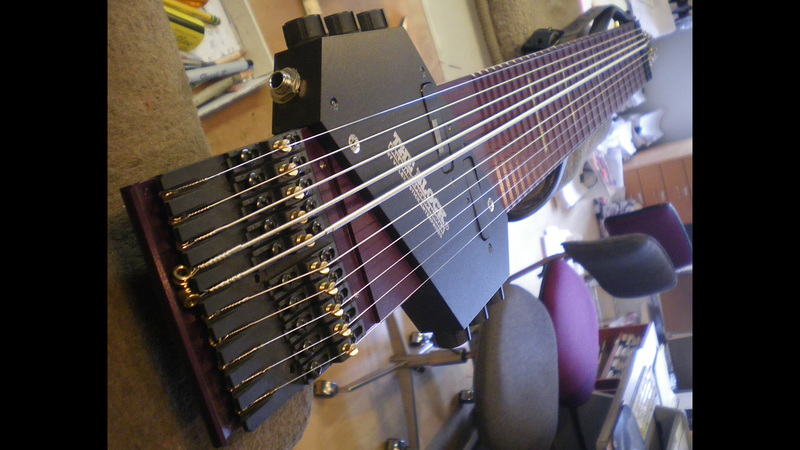 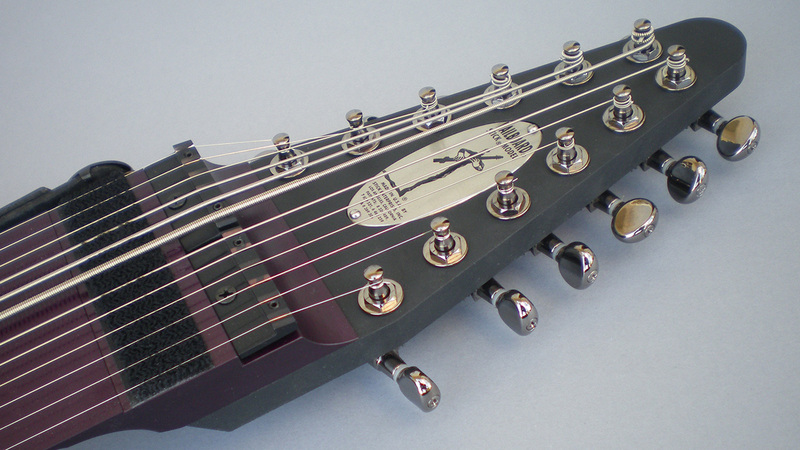 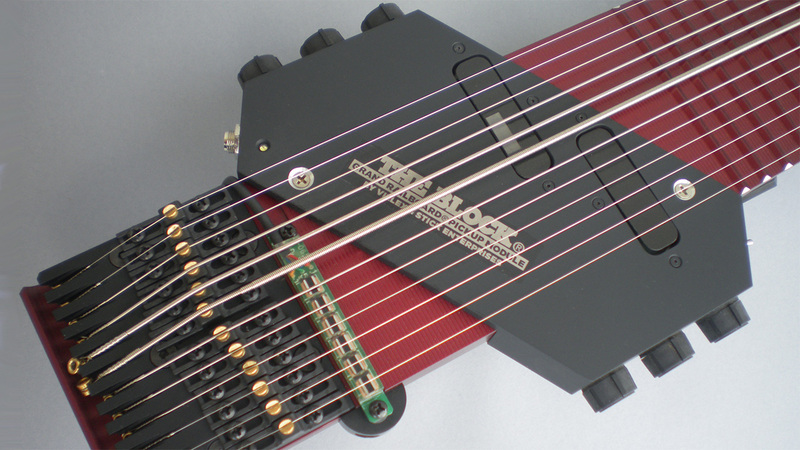 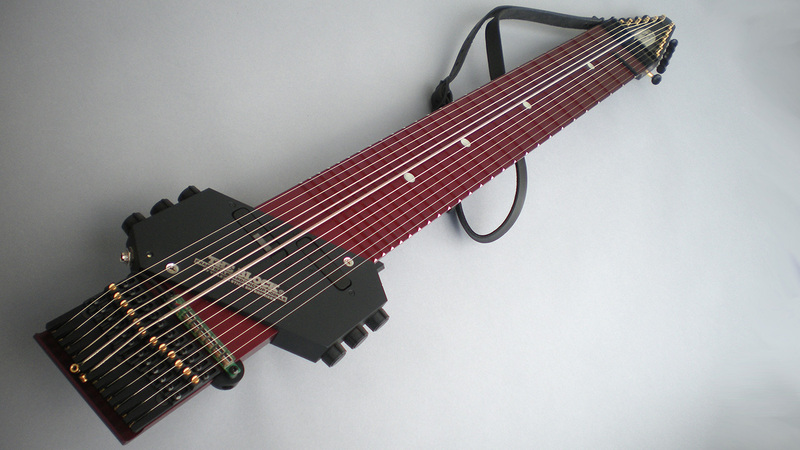 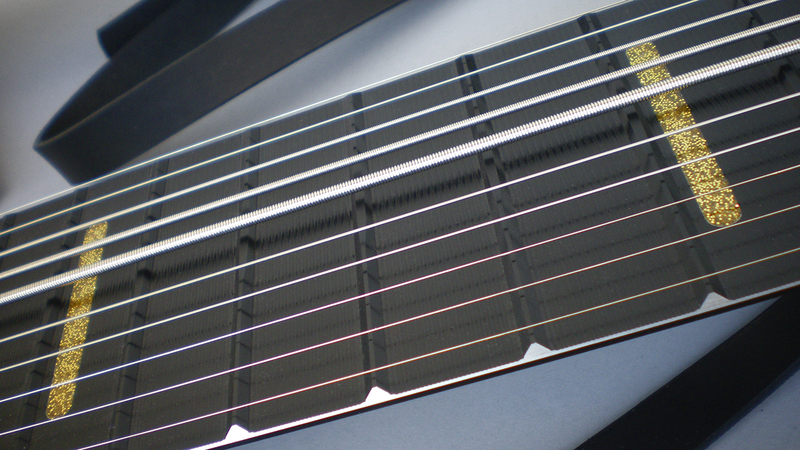 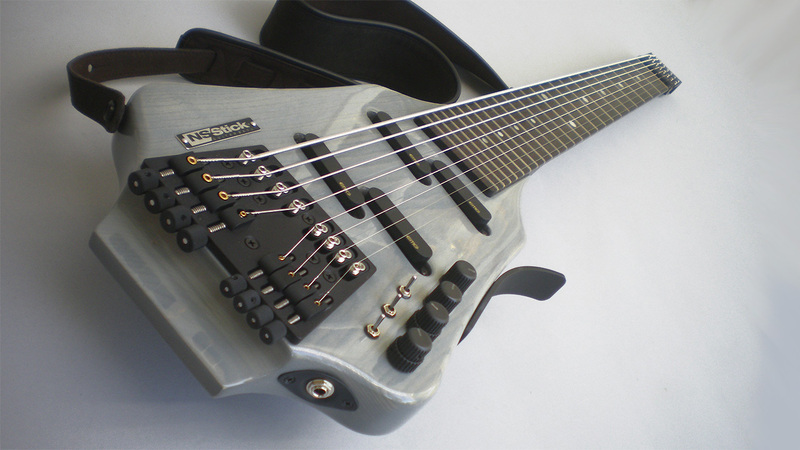 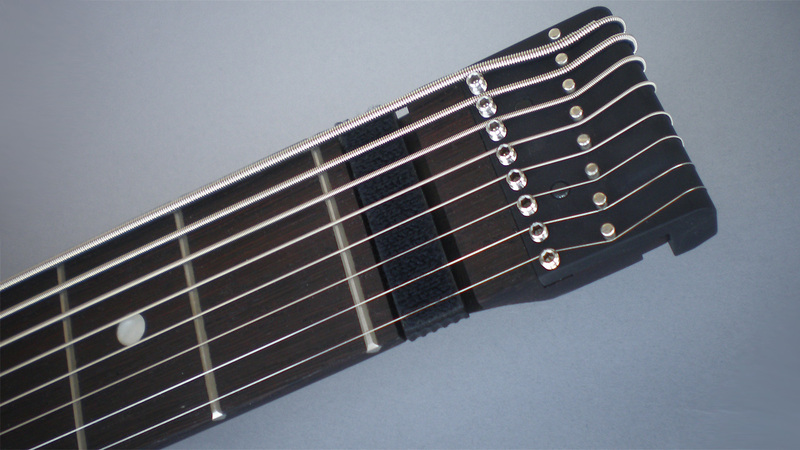 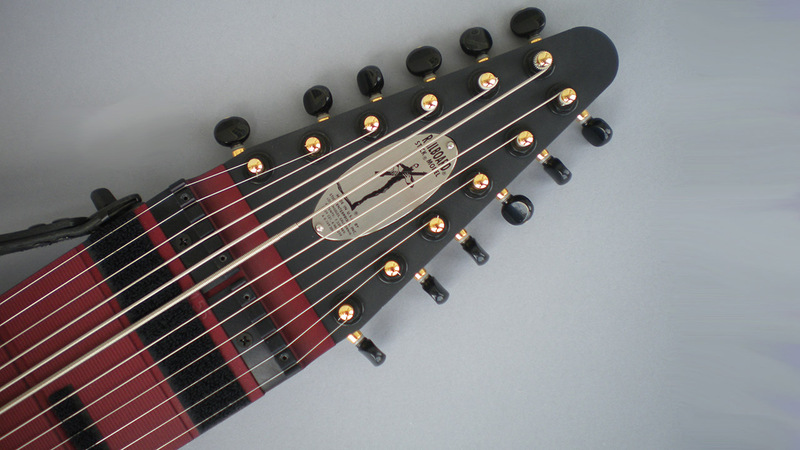 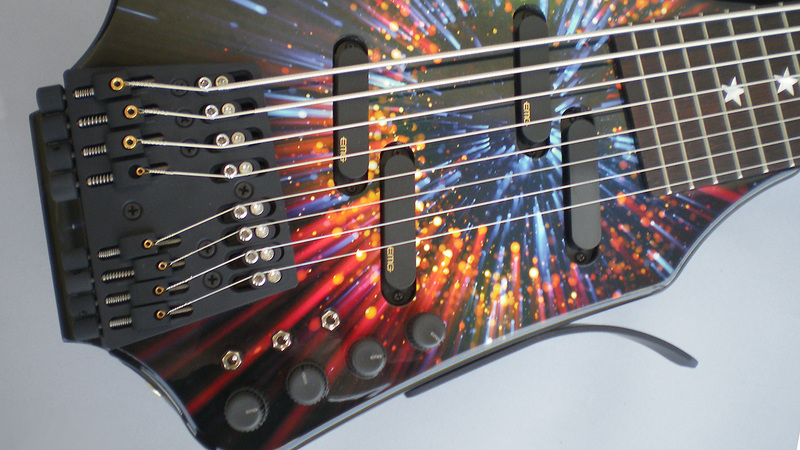 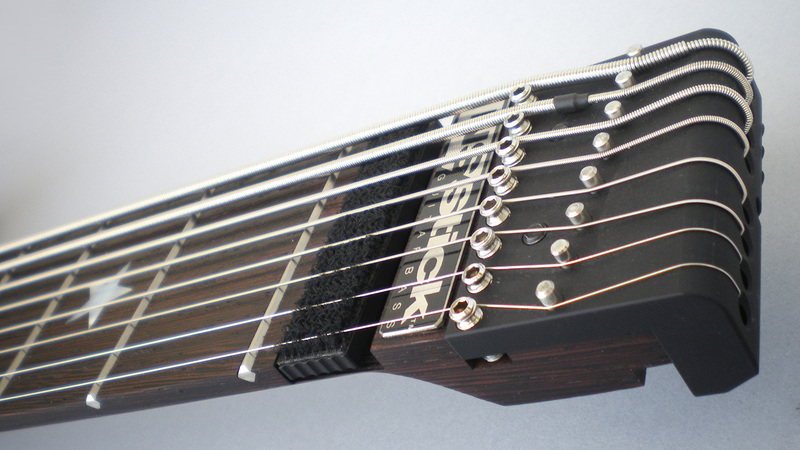 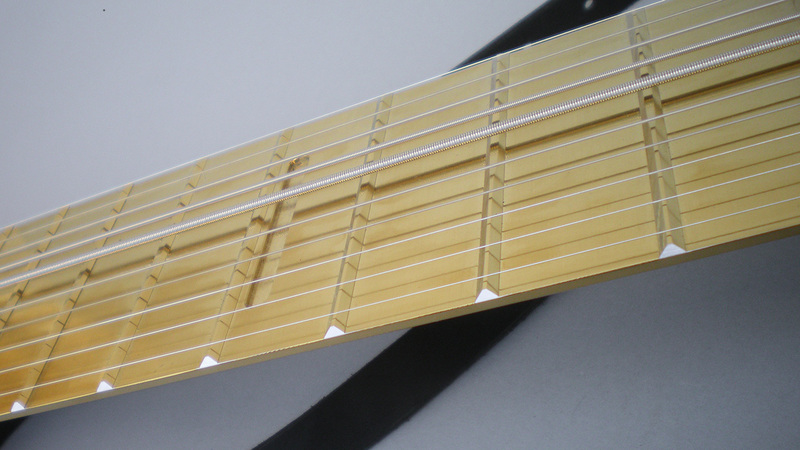 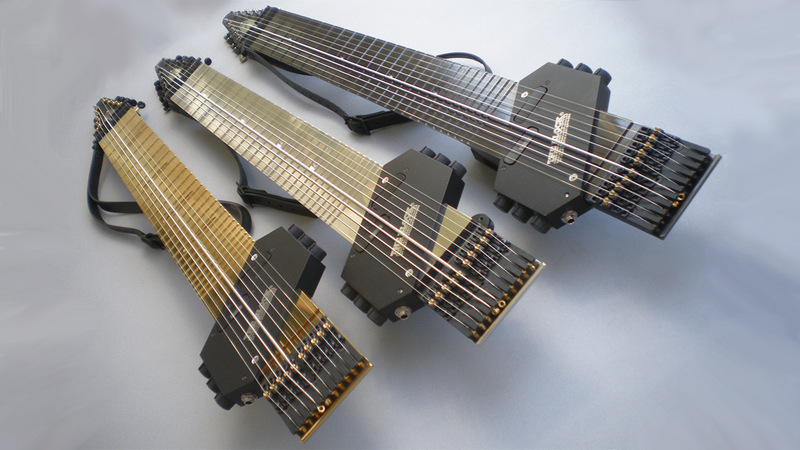 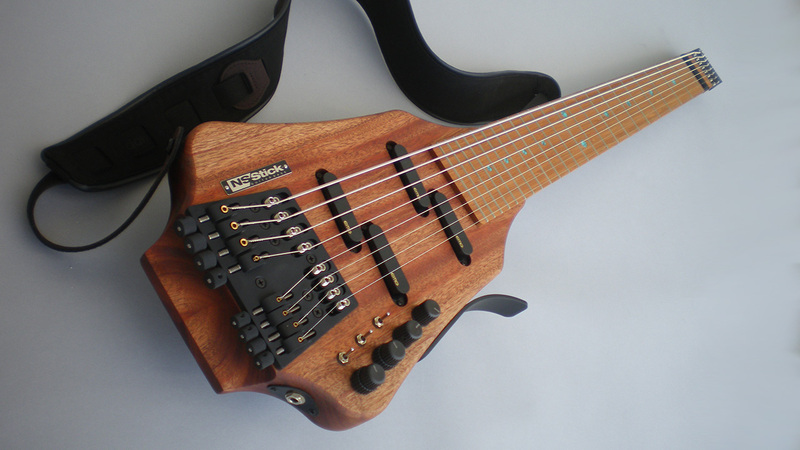 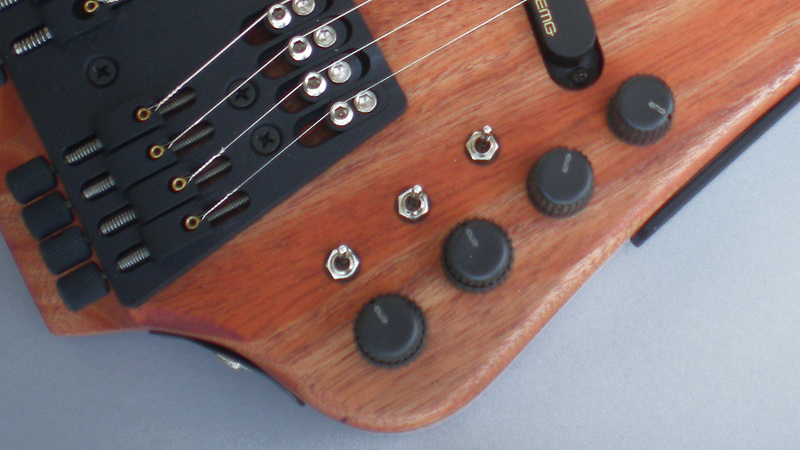 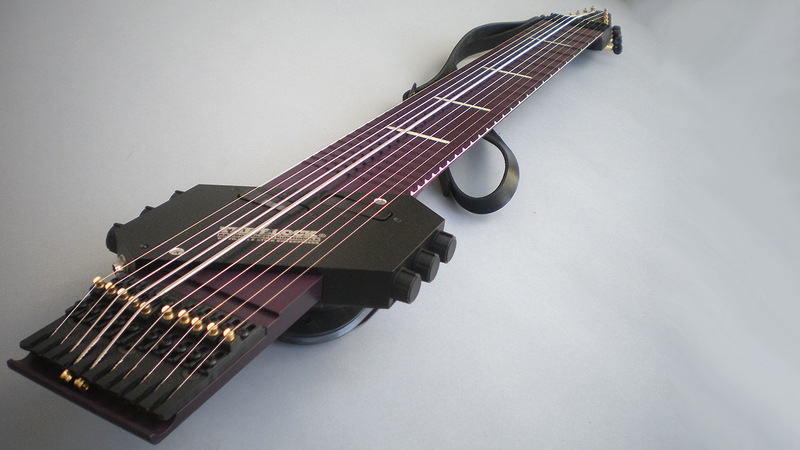 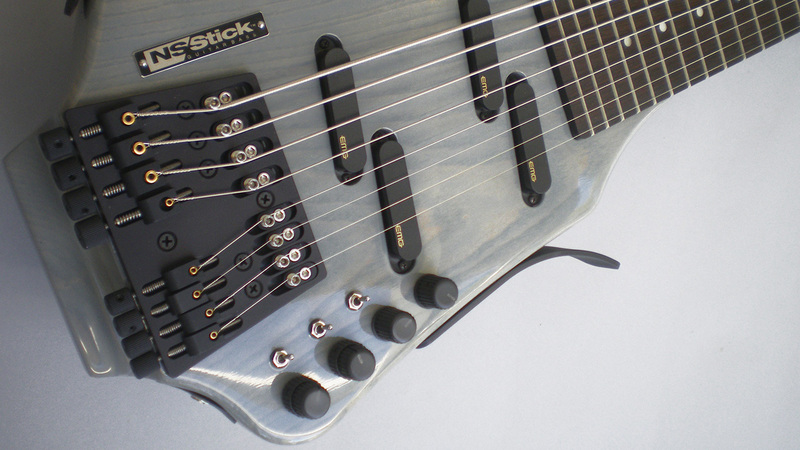 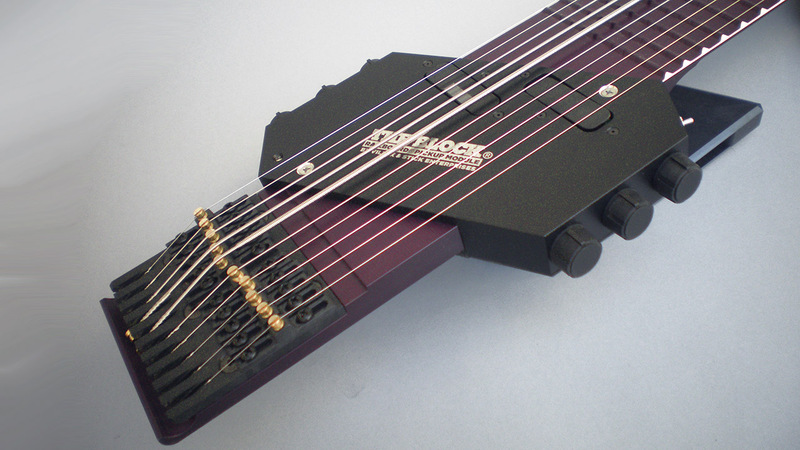 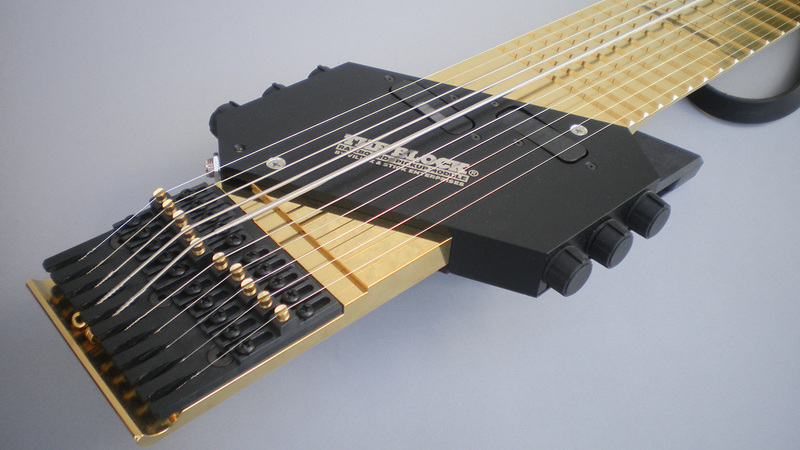 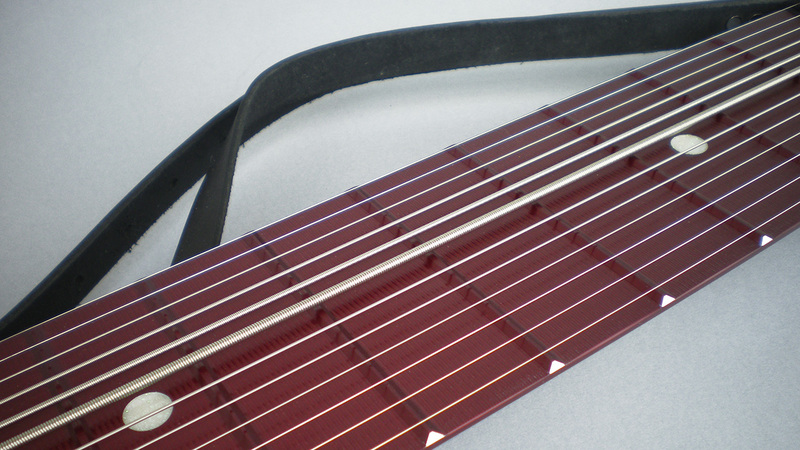 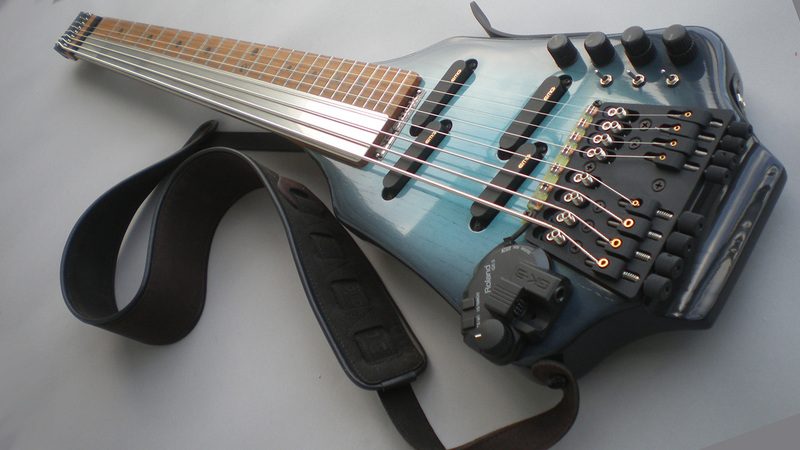 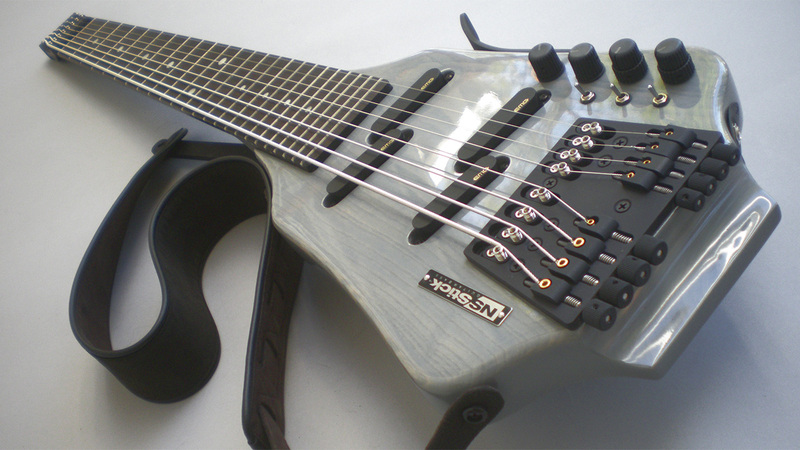 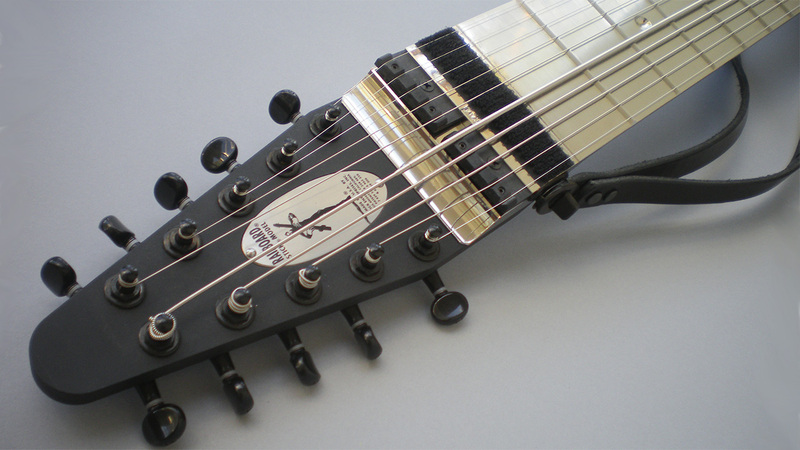 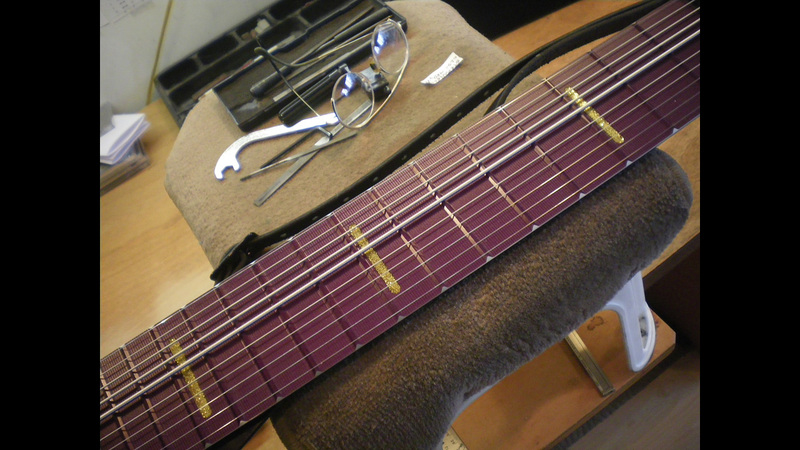 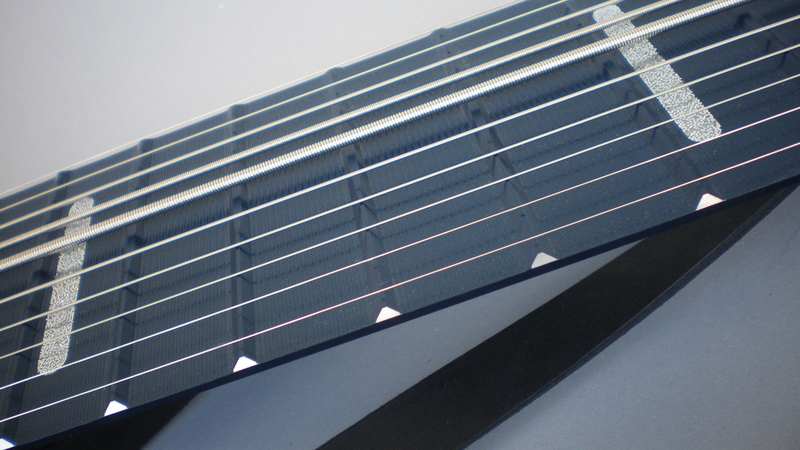 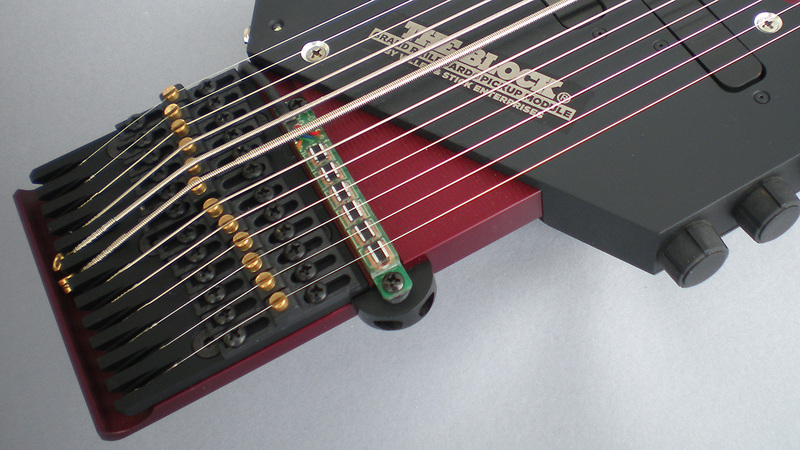 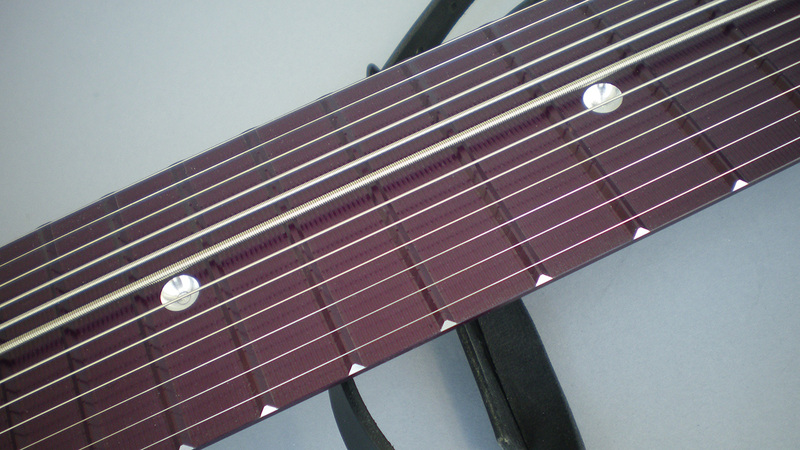 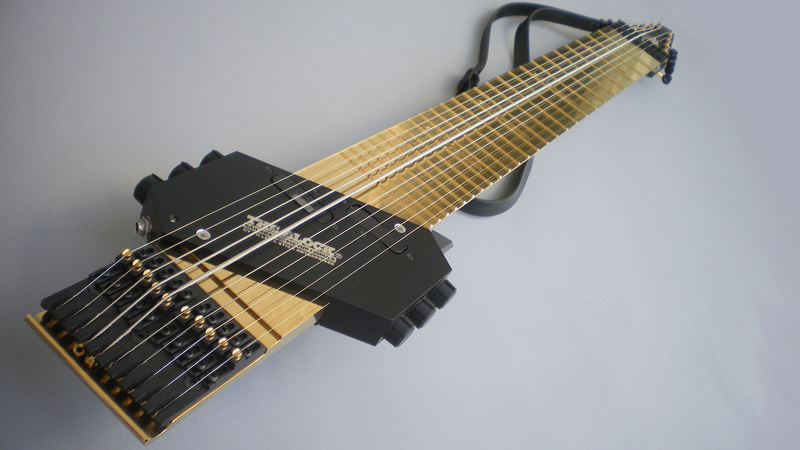 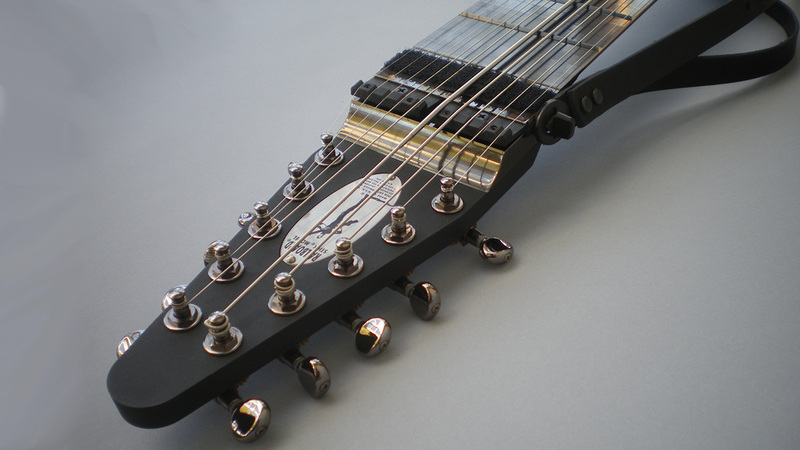 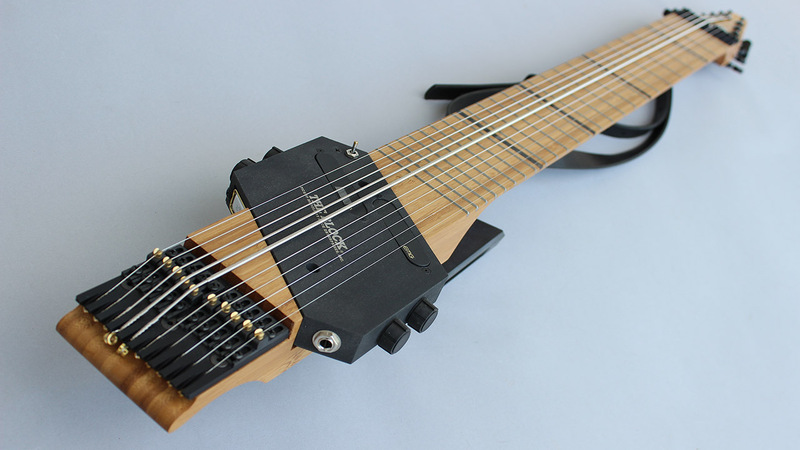 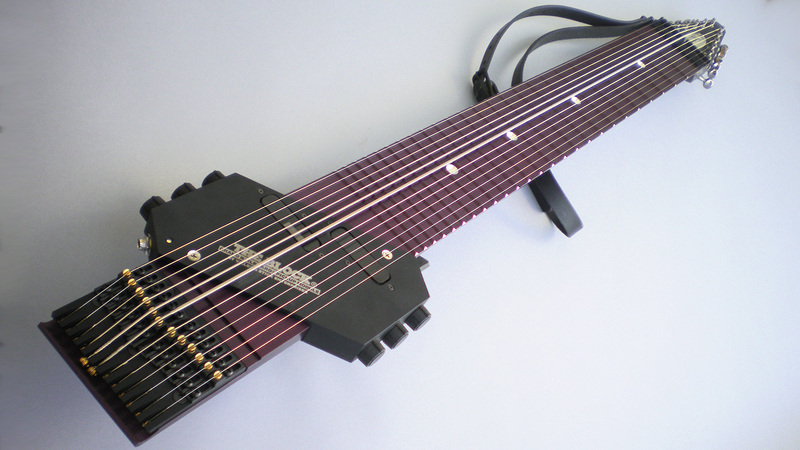 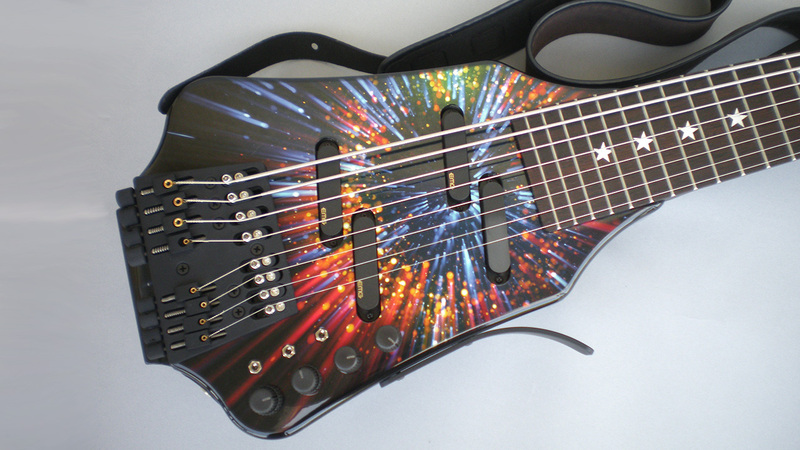 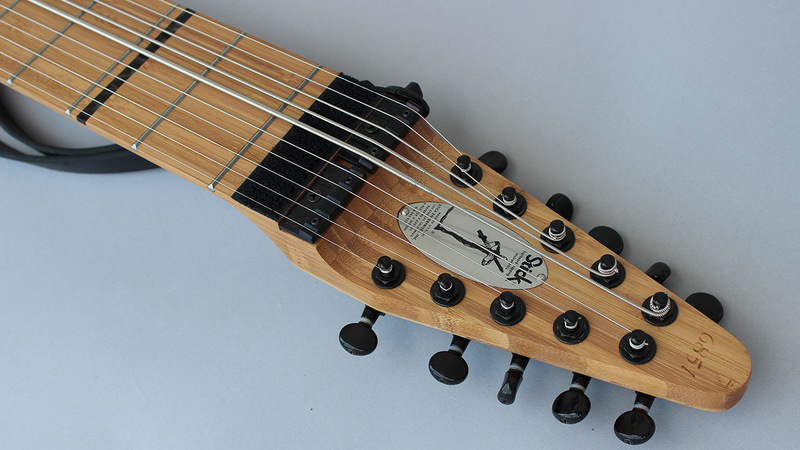 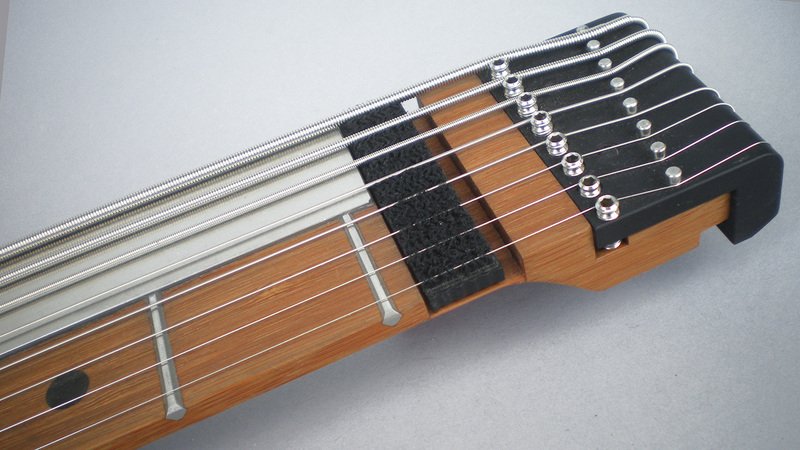 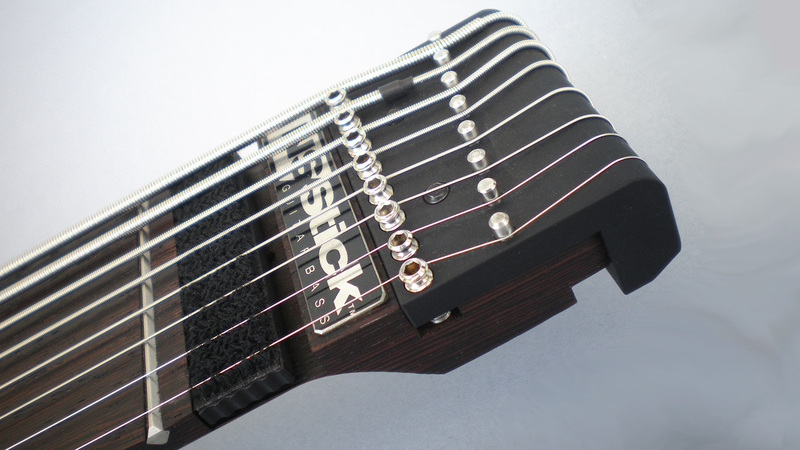 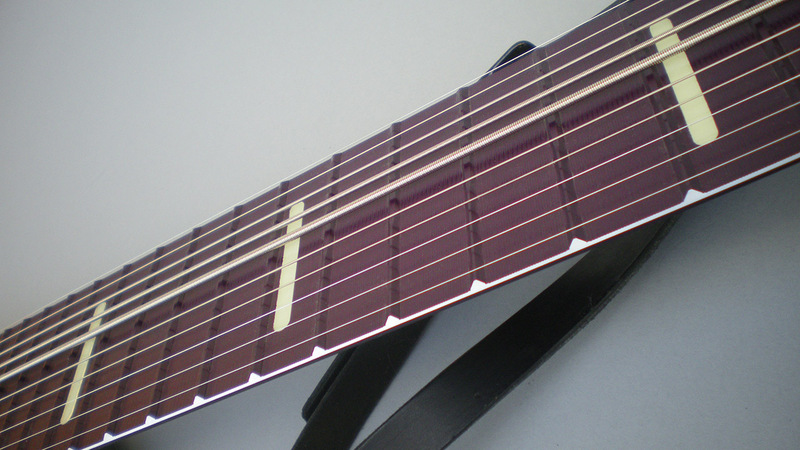 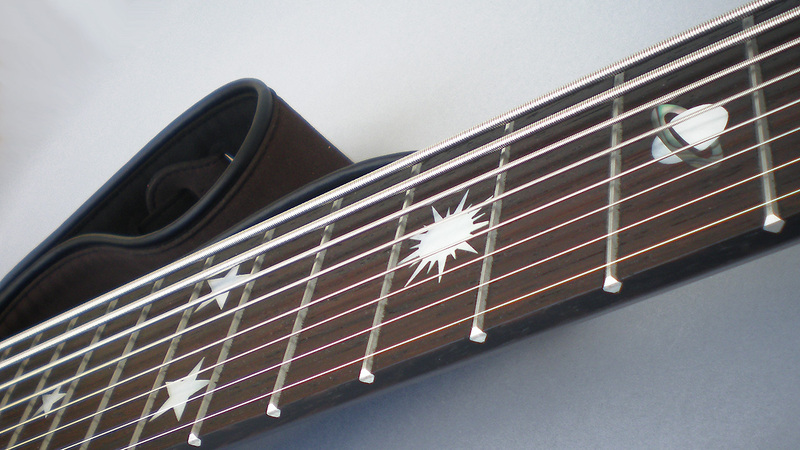 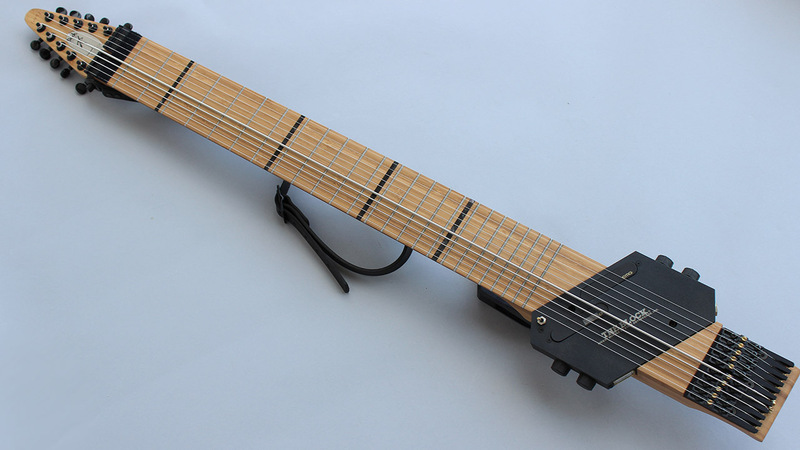 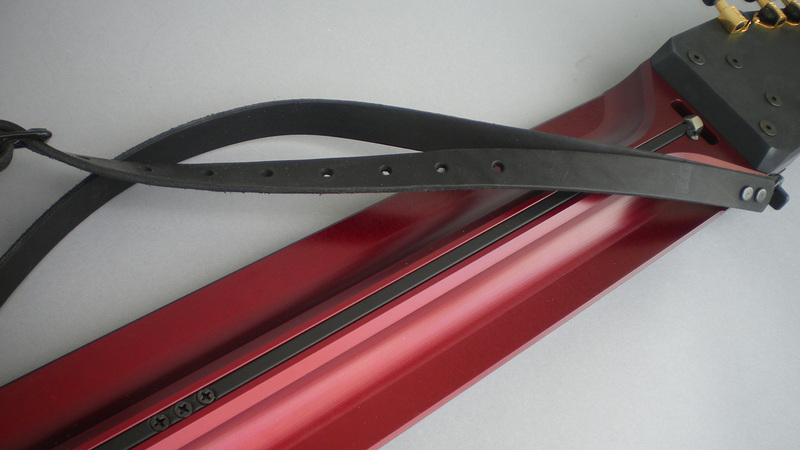 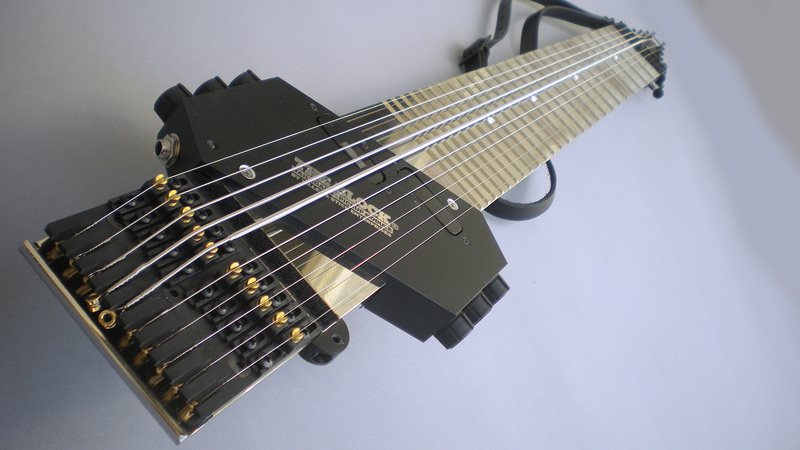 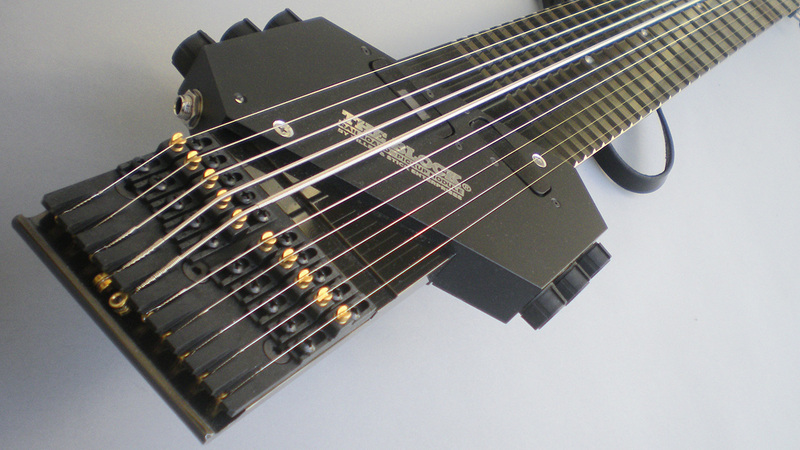 The Railboard hard-anodized integrated frets and beam. 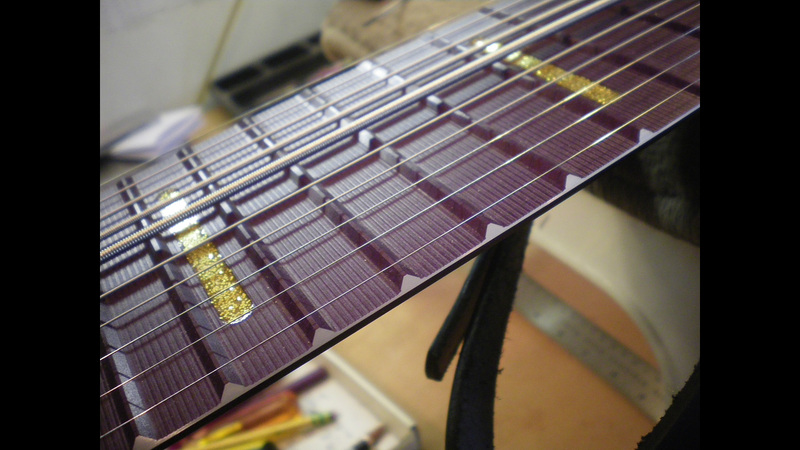 DETAIL: Exposed fret edges, textured intra-fret surface and white glitter inlays. 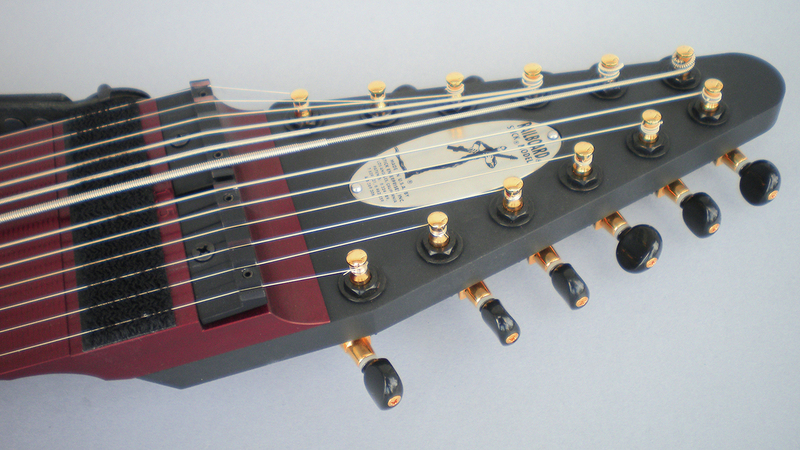 Divided™ 4-way adjustable truss for fine-tuned low tapping action. 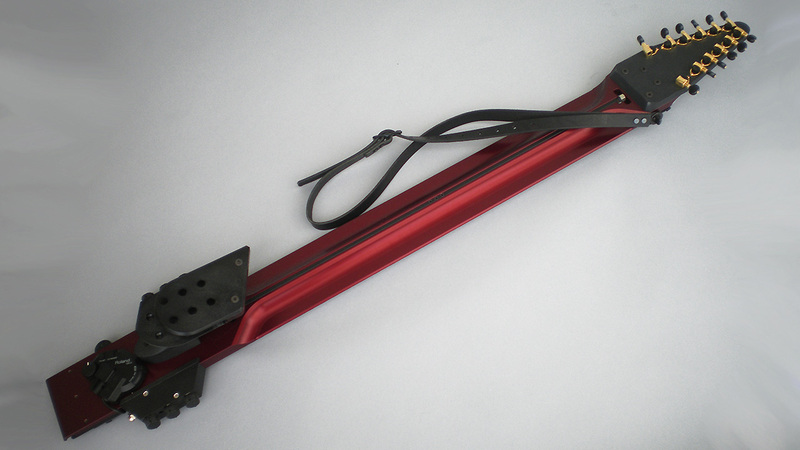 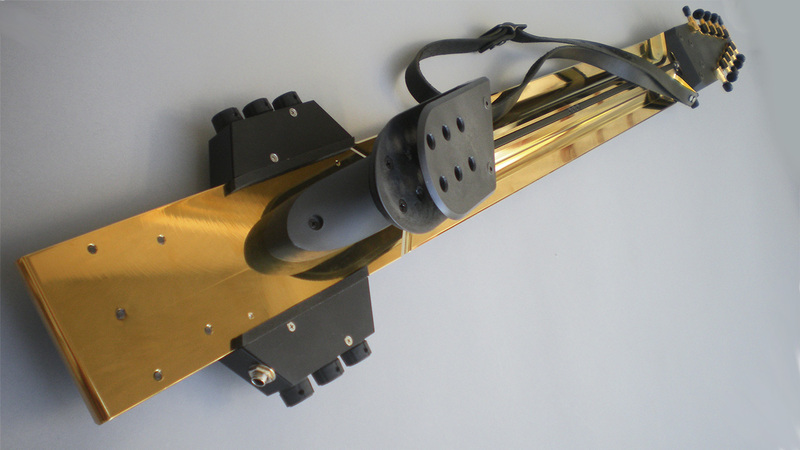 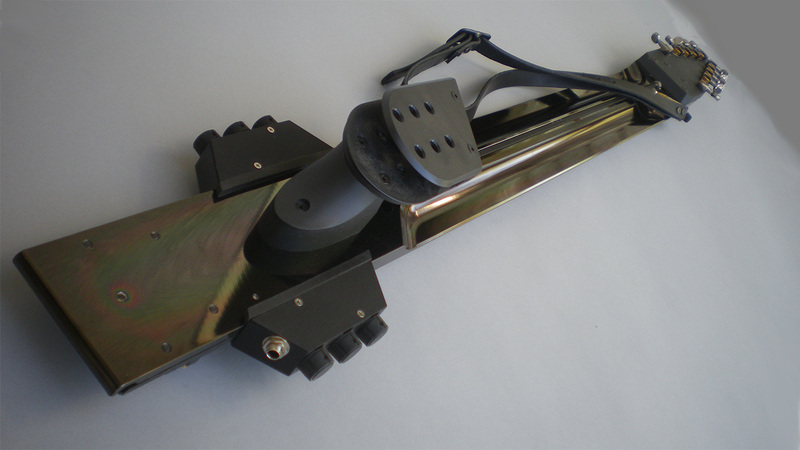 4-position adjustable belhook and rear body countour. 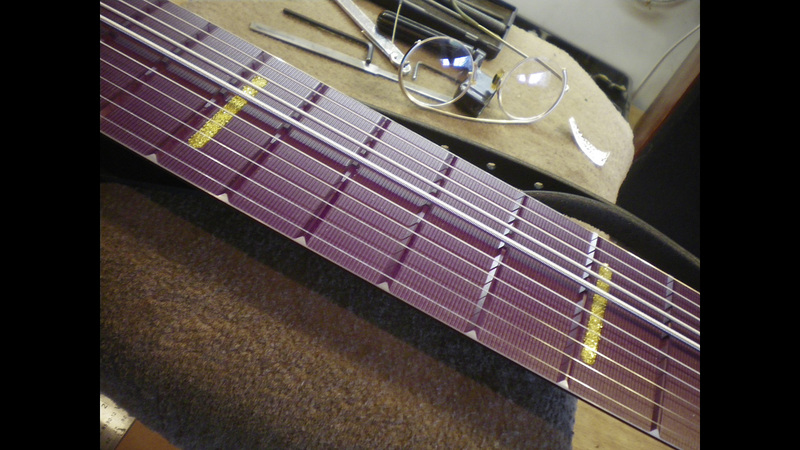 Plum Grand Railboard with Flaps™ adjustable dual nut unit. 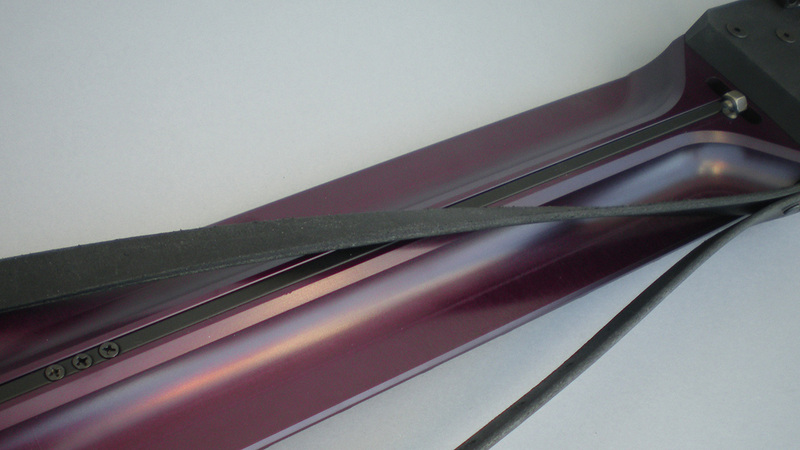 Plum Grand Railboard with exposed aluminum dot inlays. 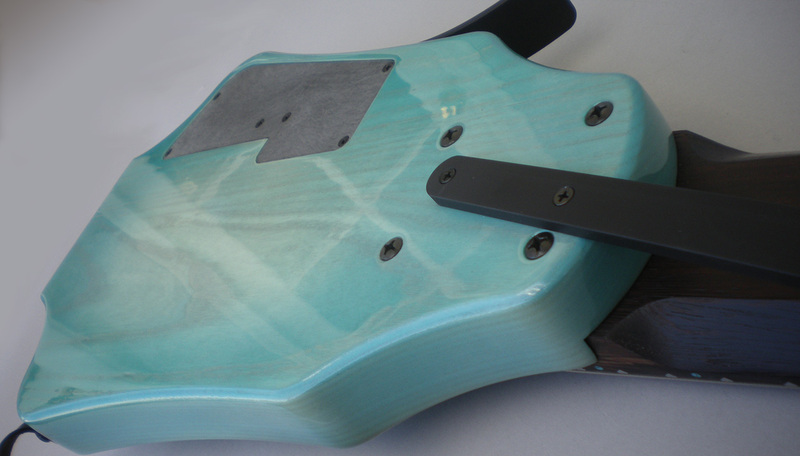 "Blueburst" NS/Stick with mirror buffed gloss finish. 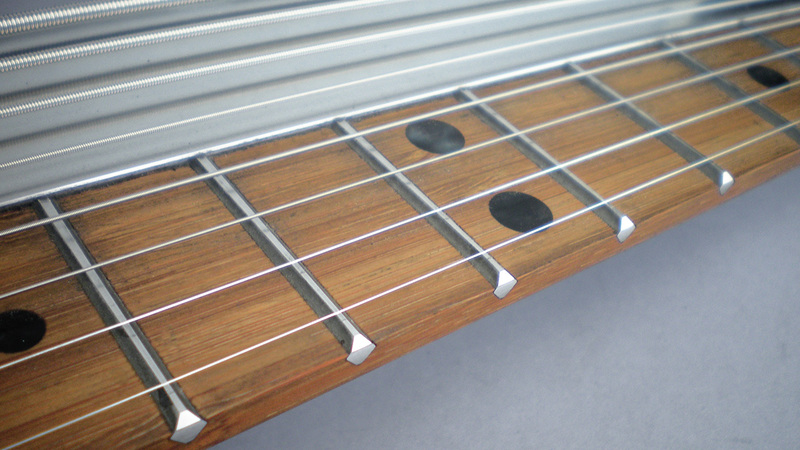 Flush-rear adjustible two-way truss rod. 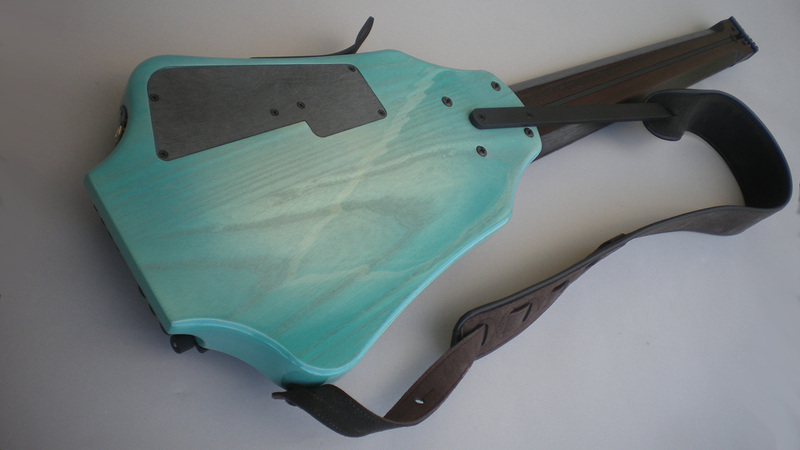 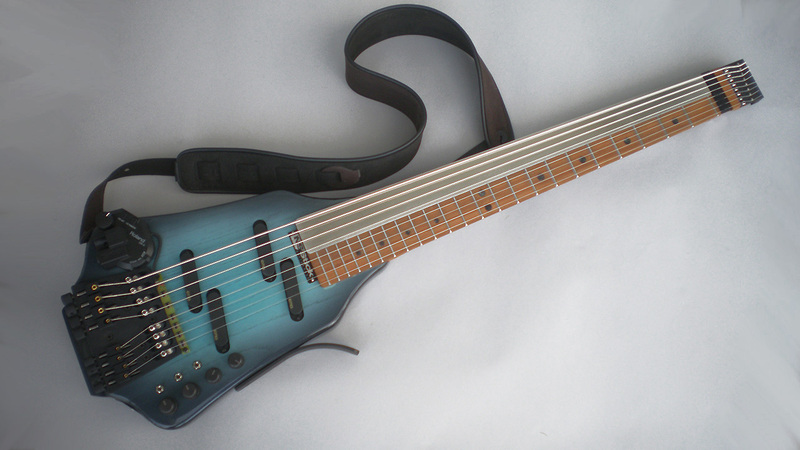 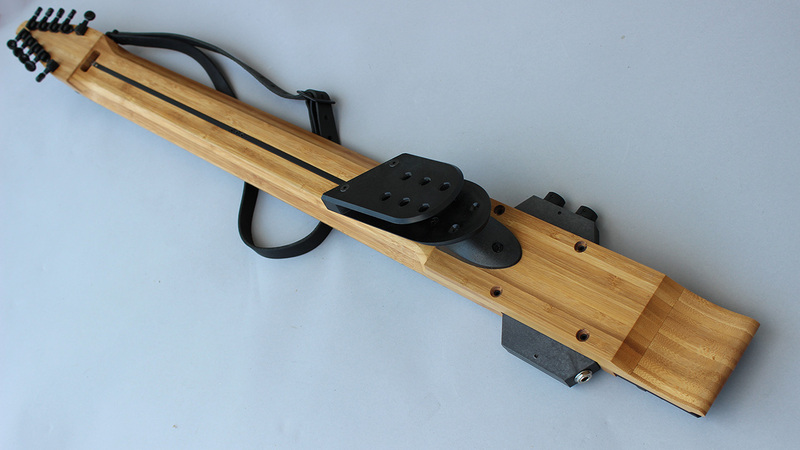 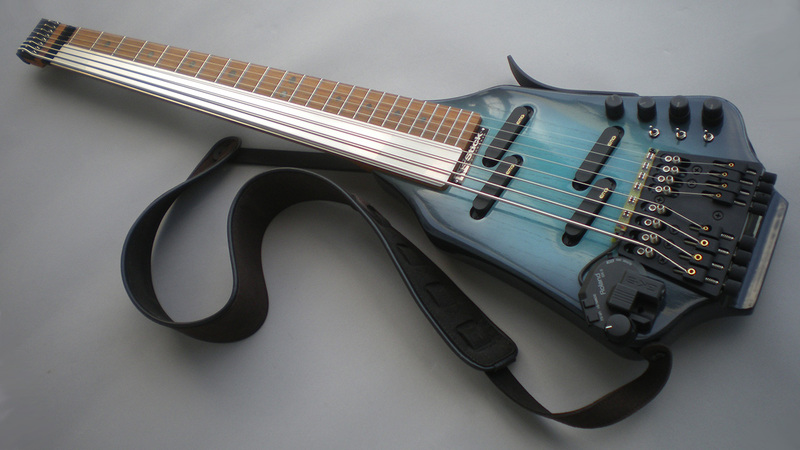 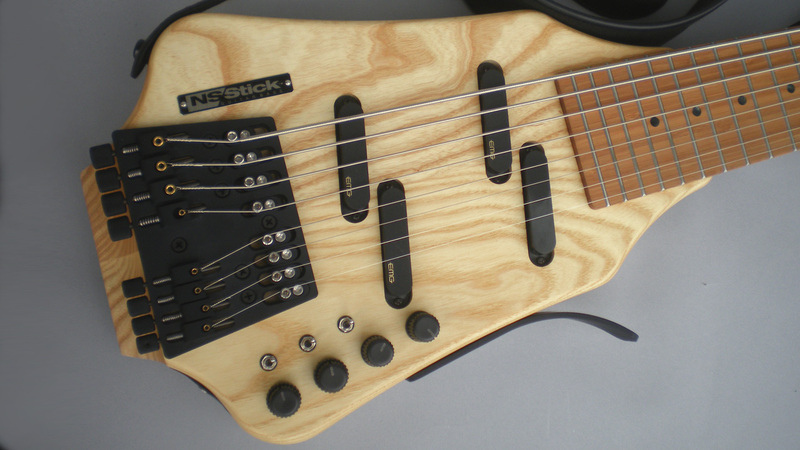 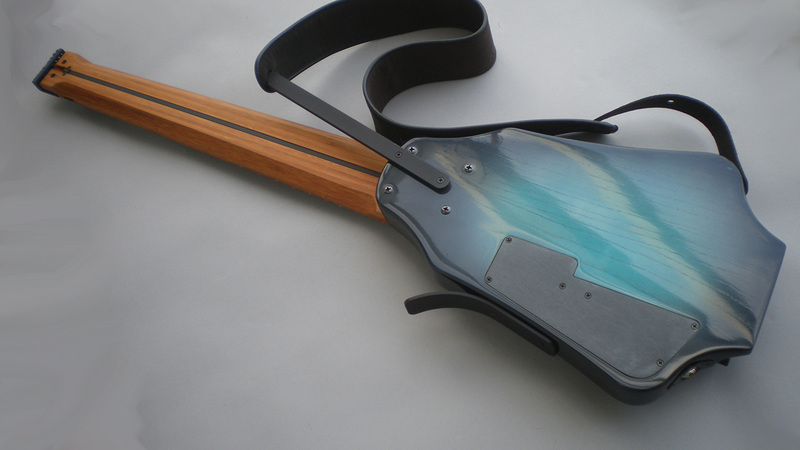 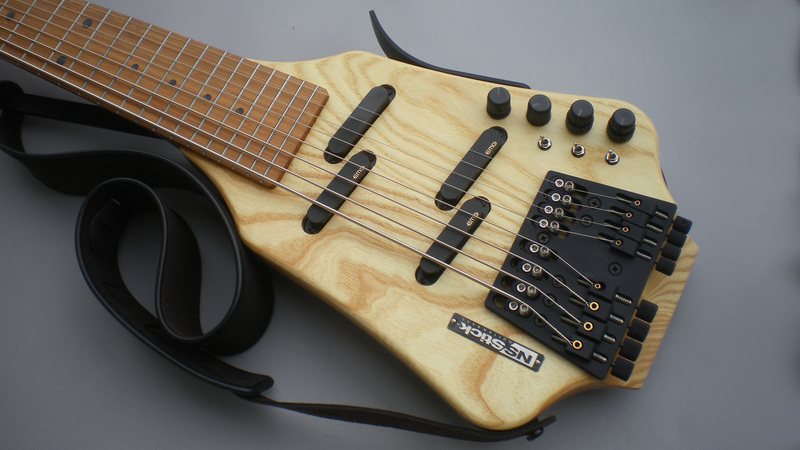 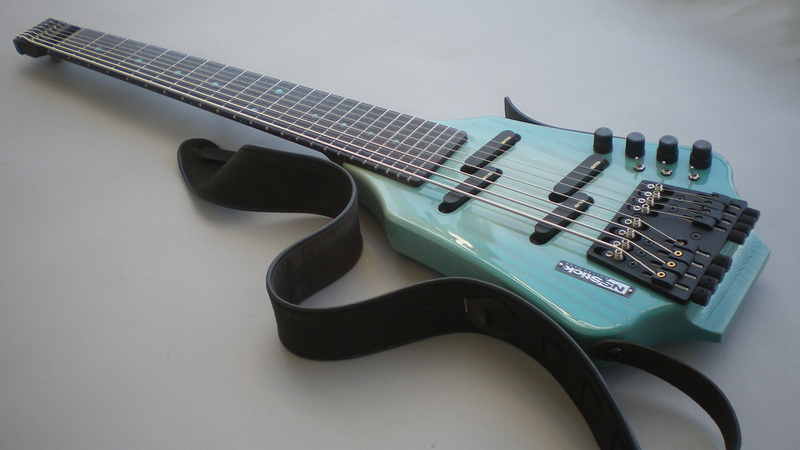 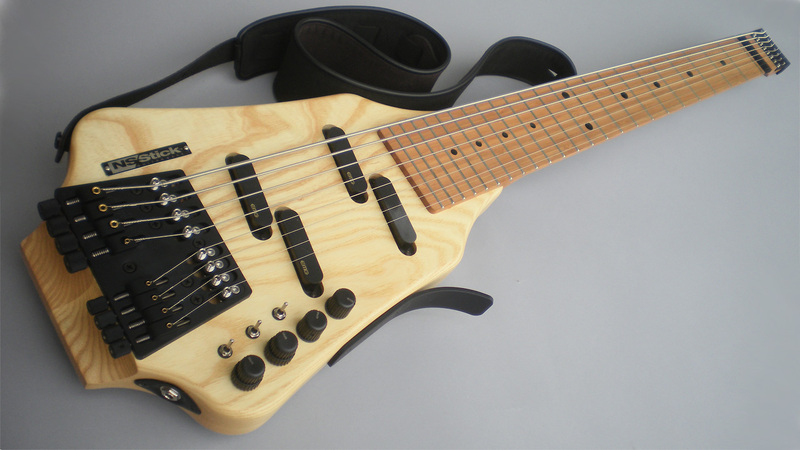 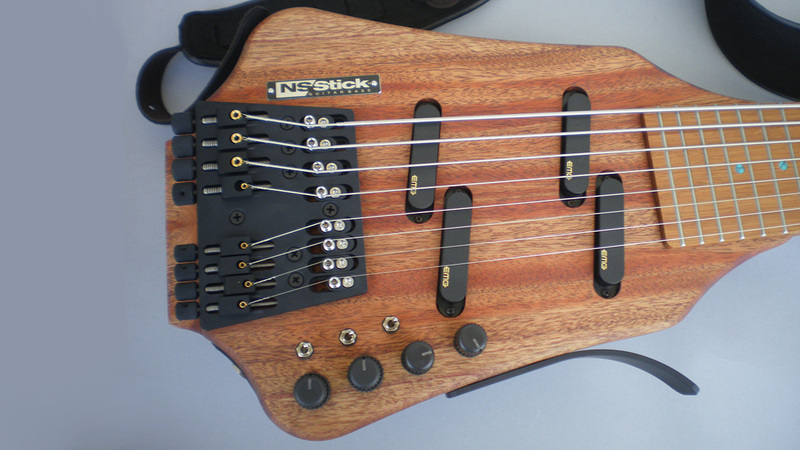 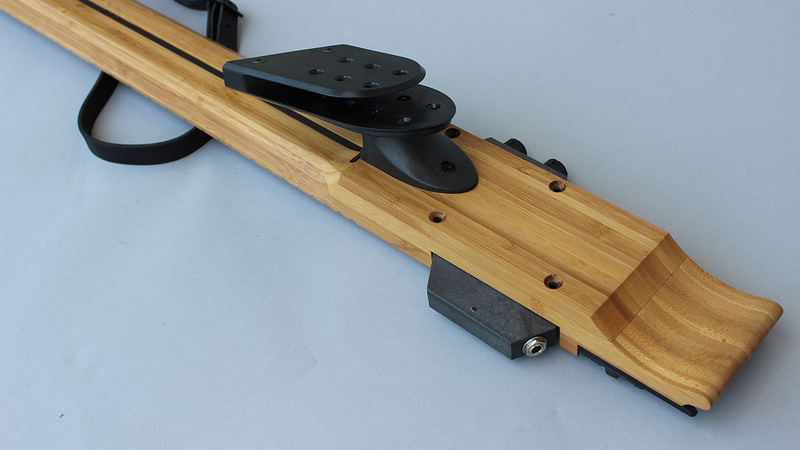 Half-fretless NS/Stick with bamboo neck and MIDI. 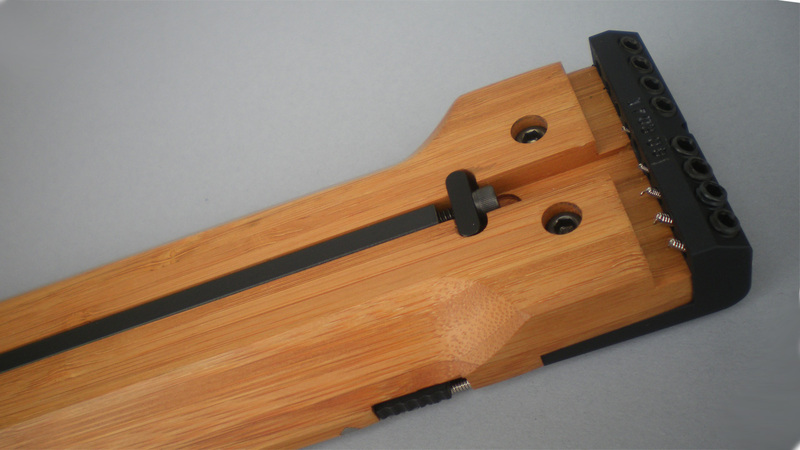 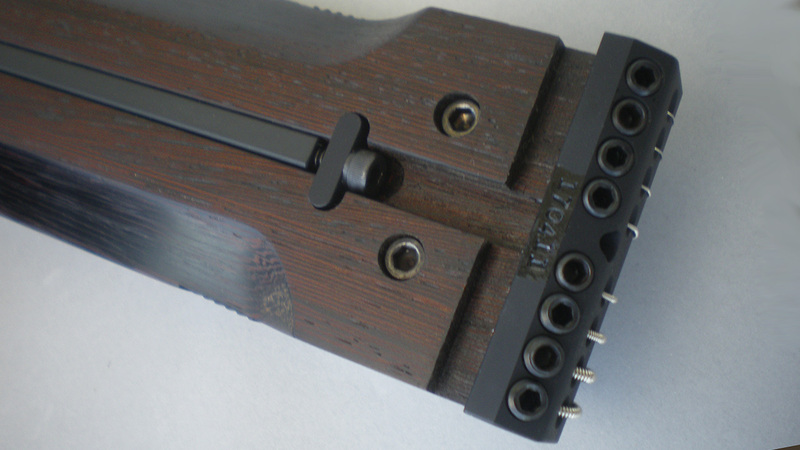 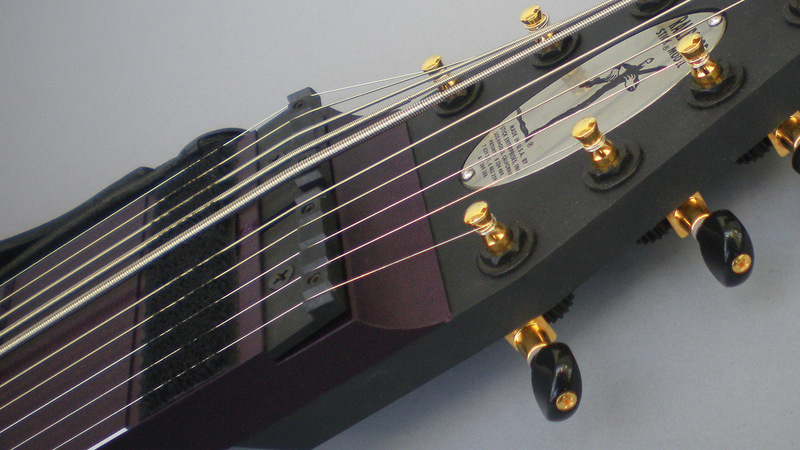 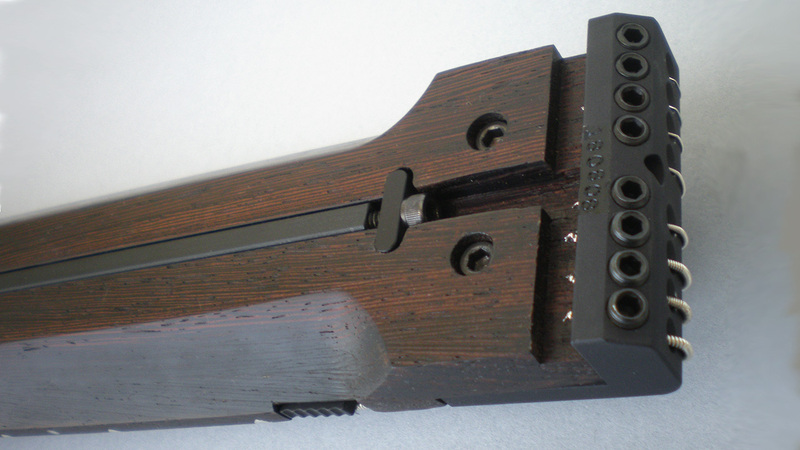 Side-saddle bridge with caliper tuners. 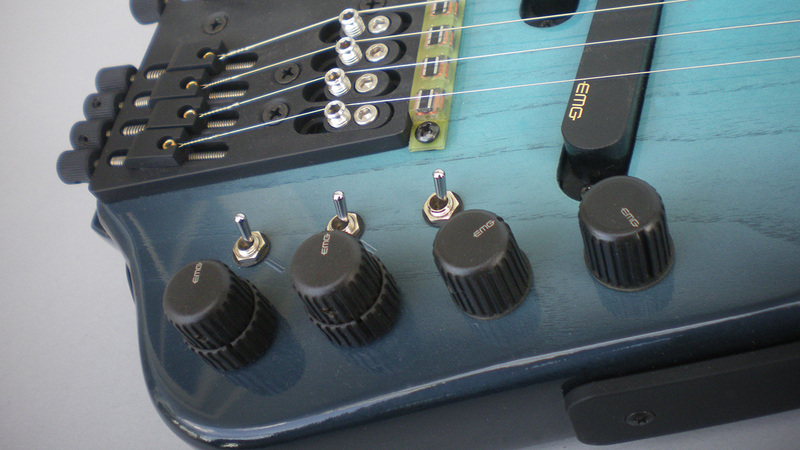 Custome MIDI pickup. 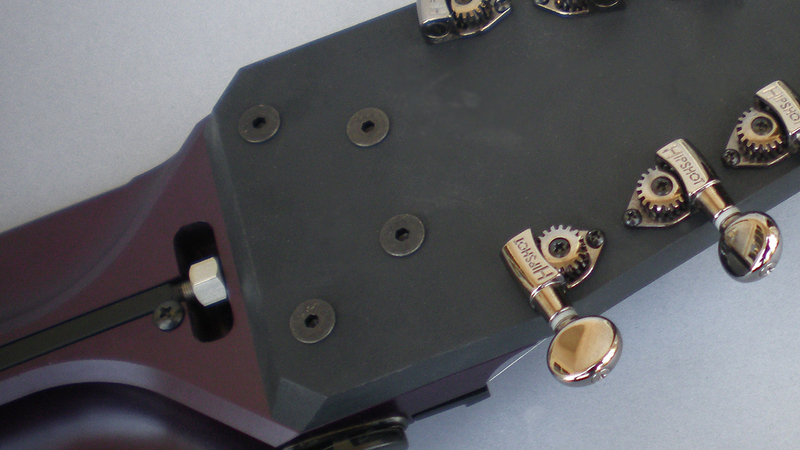 Retractable demper and side-saddle nut screws. 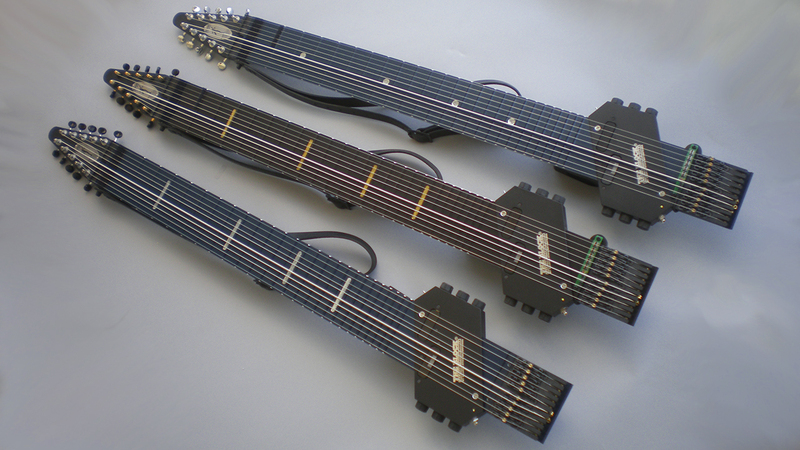 Three Railboards (two with MIDI) with glitter inlays. 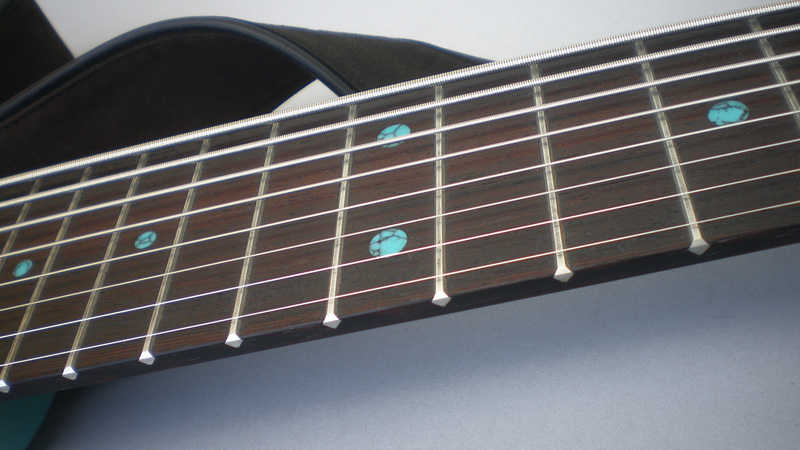 Blue with silver glitter dot and linear inlays and black with gold linear inlays. 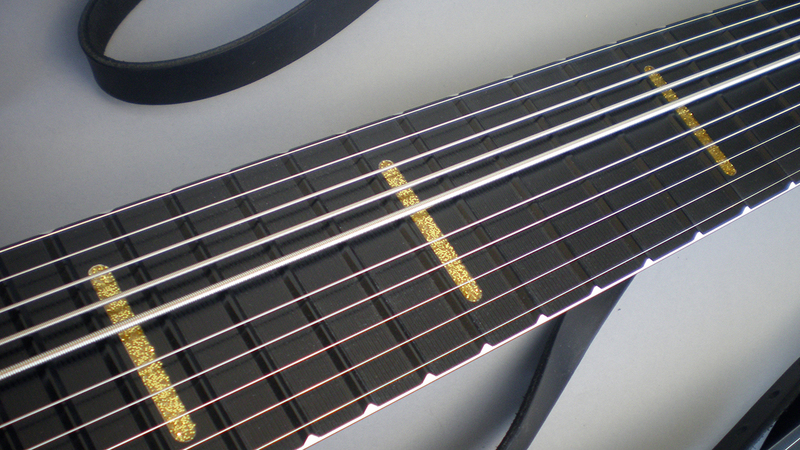 Black with gold glitter linear inlays. 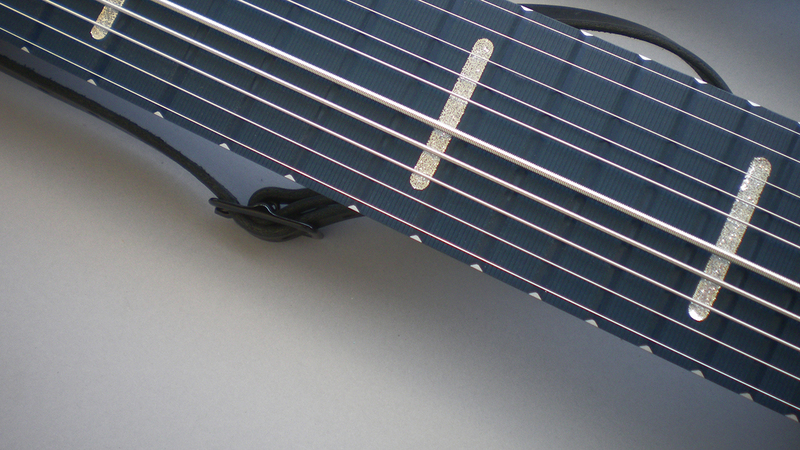 Blue with silver glitter linear inlays. 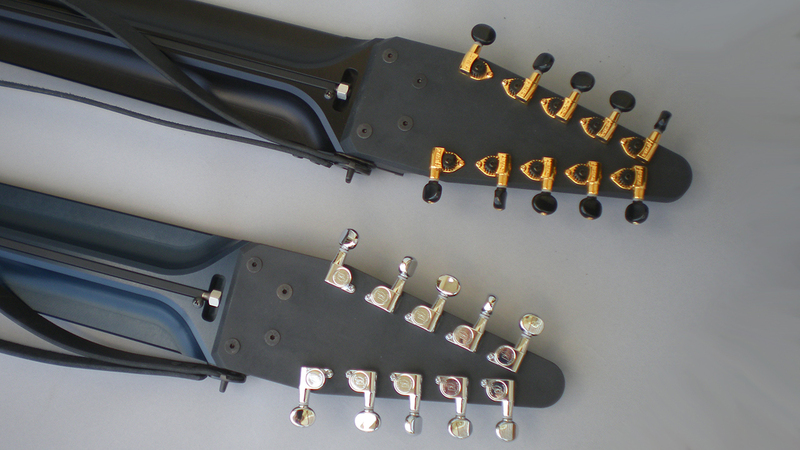 Black and gold open gear and closed chrome tuning machines. 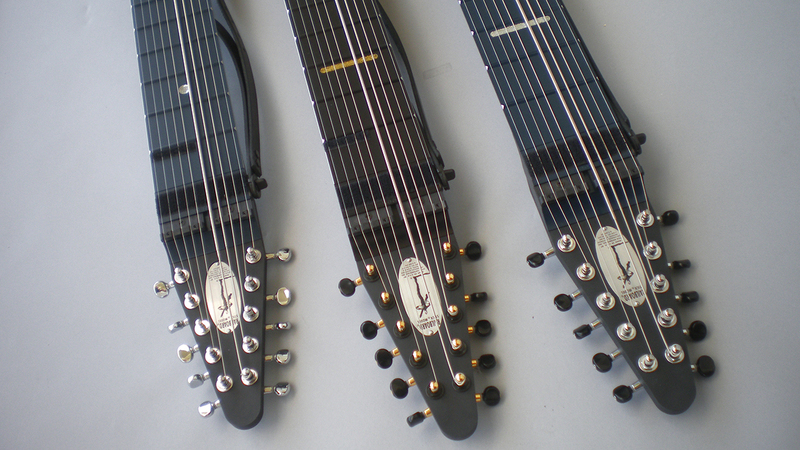 Chrome, black and gold, and black and chrome tuners. 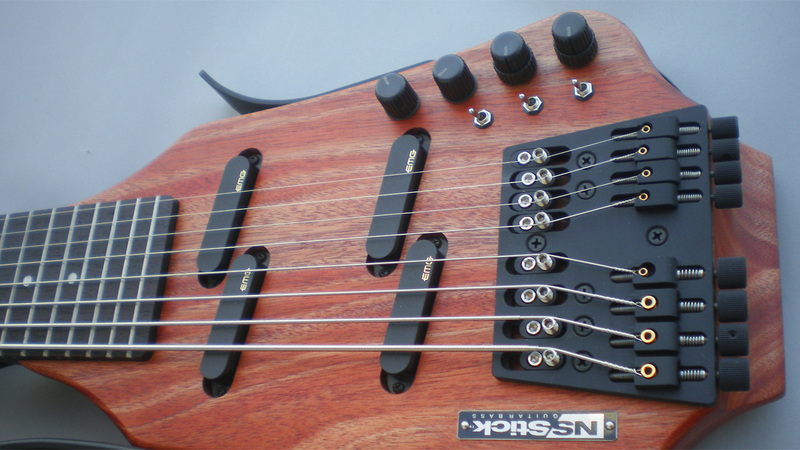 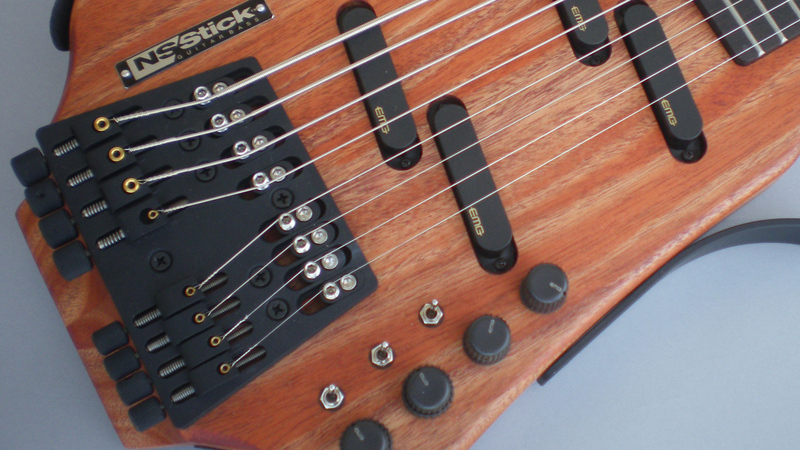 Four-way Divided™ truss rod and optional GK MIDI pickup preamp. 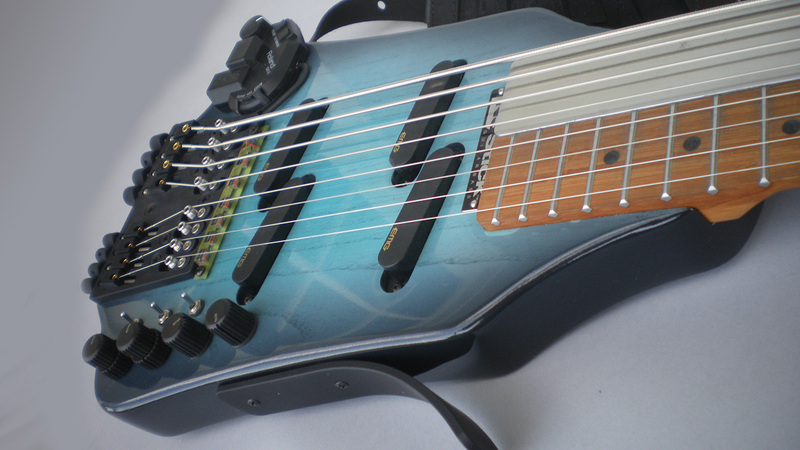 Black and blue Railboards with GK MIDI pickups. 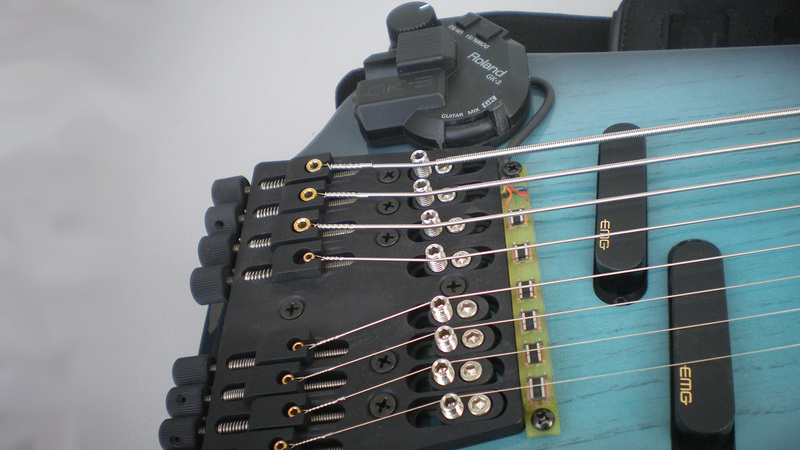 Optional Roland GK MIDI pickup preamps mount on rear. 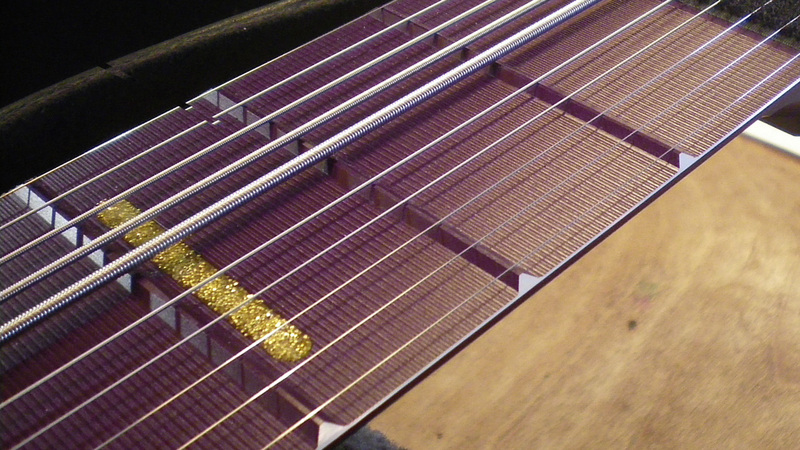 Black Railboard with gold glitter linear inalys. 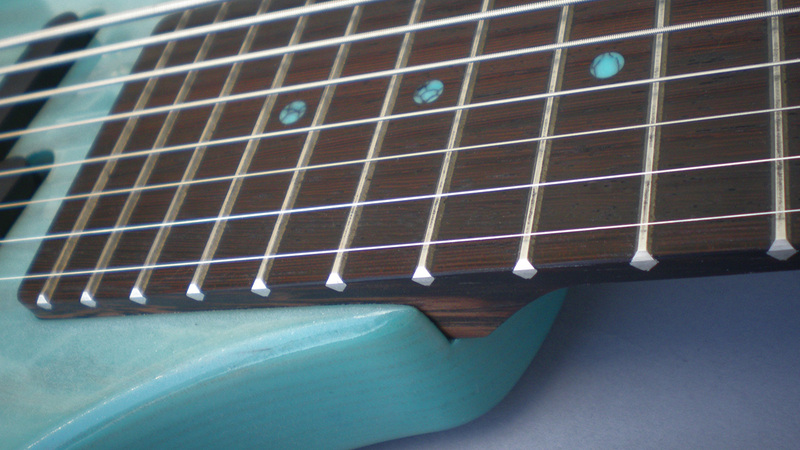 Blue Railboard with sliver glitter dot inalys. 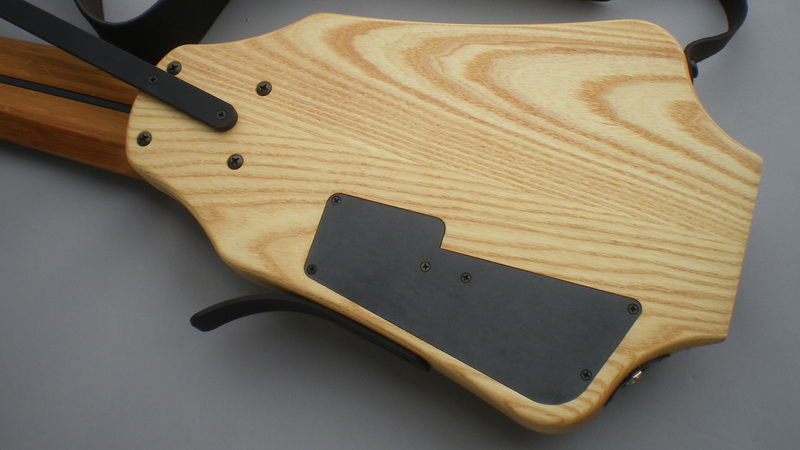 Ash NS/Stick with bamboo neck and black inlays. 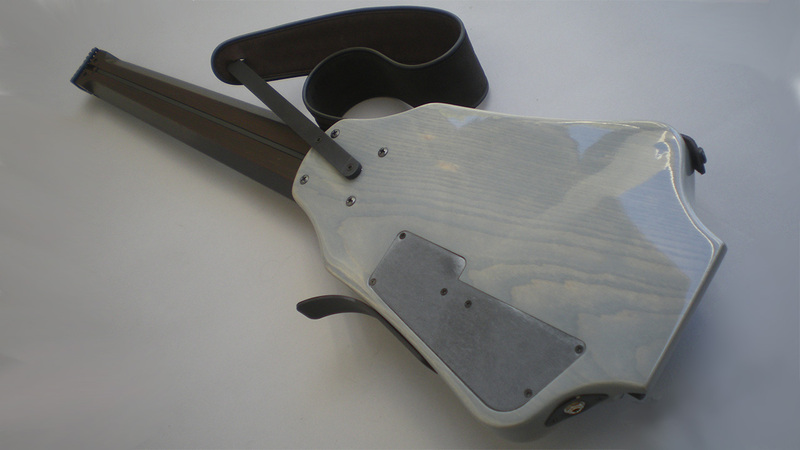 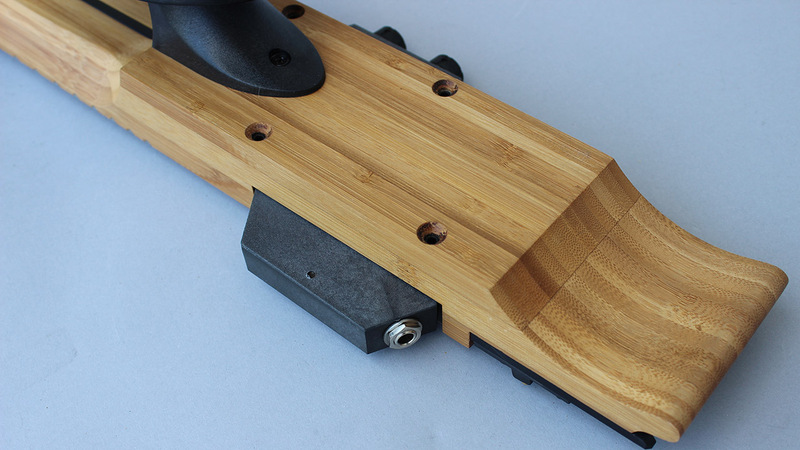 Ash NS/Stick with bolt-on bamboo neck. 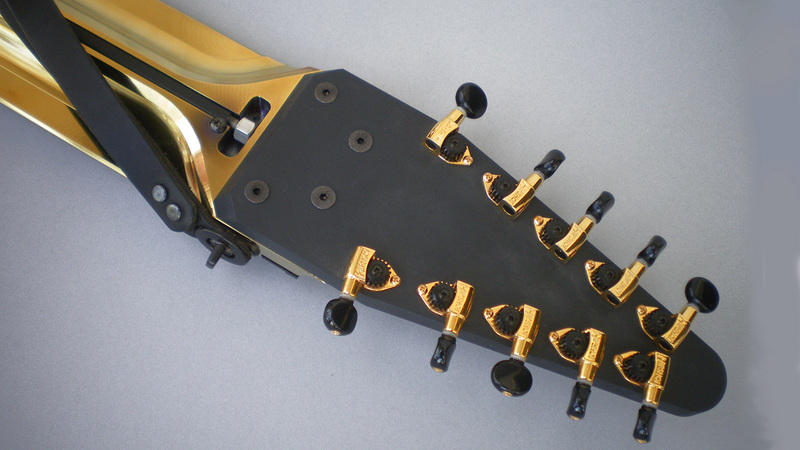 Side-saddle bridge with caliper tuners. 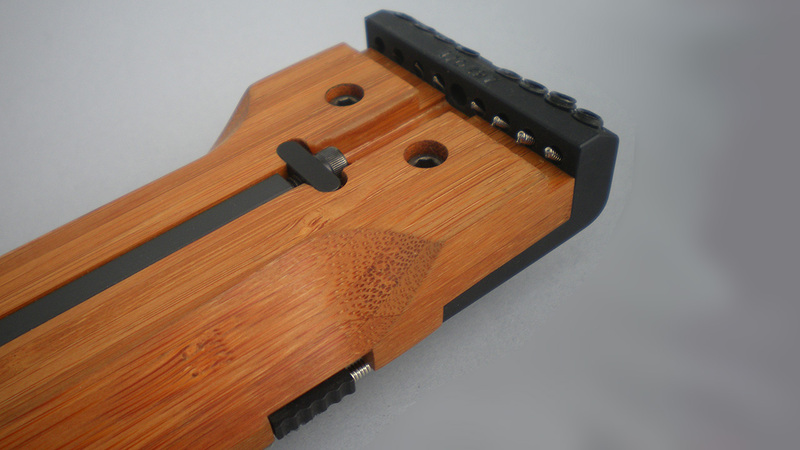 Bamboo neck has trademark beveled edges and two-way exposed rear truss. 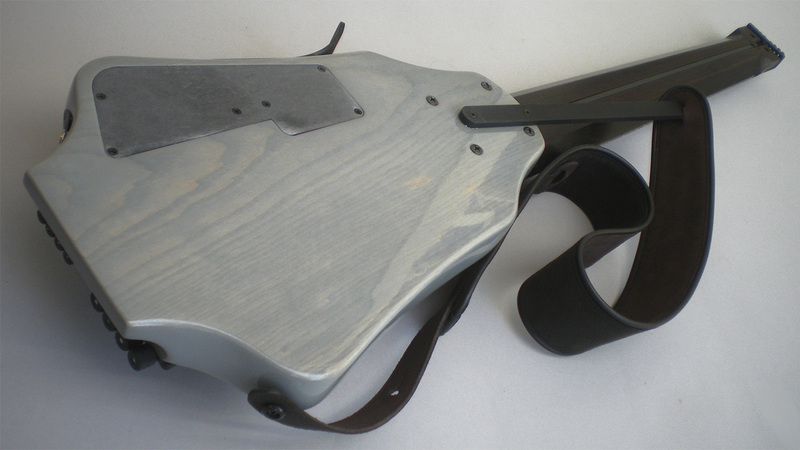 Battery compartment and knee rest for seated play. 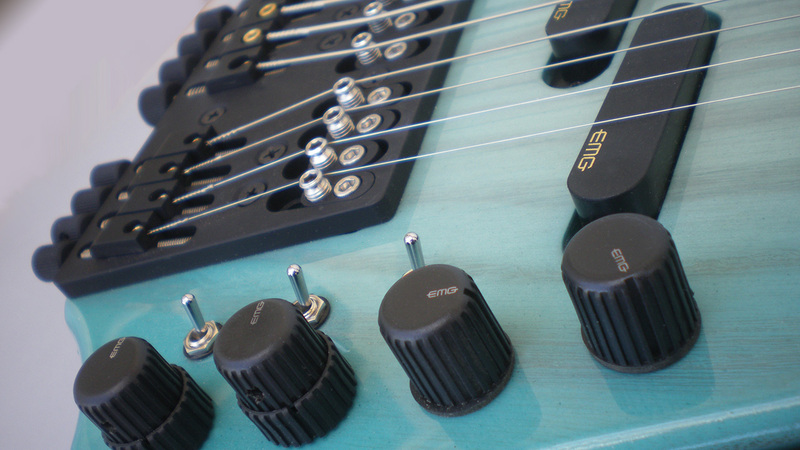 Patented retractable damper and side-saddle nut screws for perfect setup. 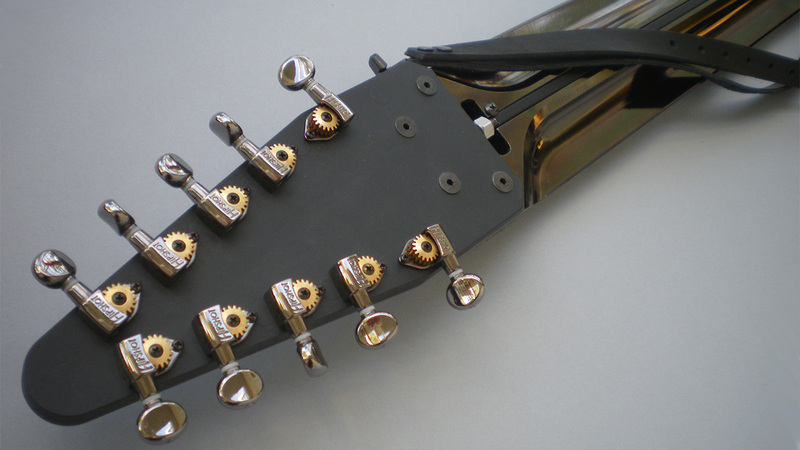 Truss adjustment nut and string retainer bolts. 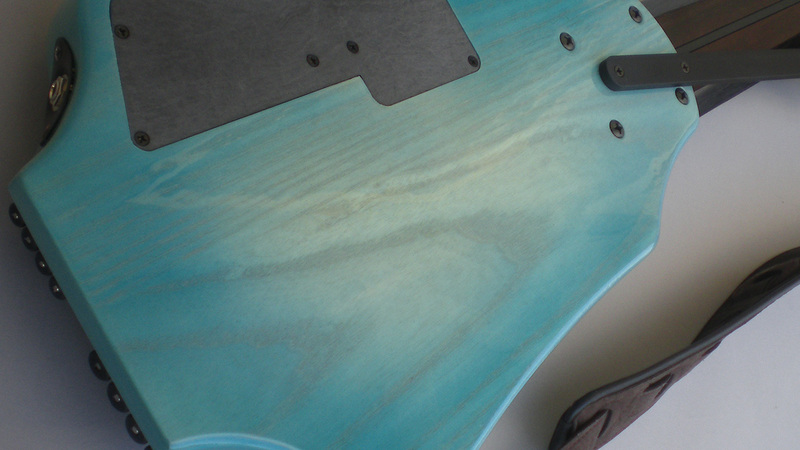 Natural finish for smooth feel. 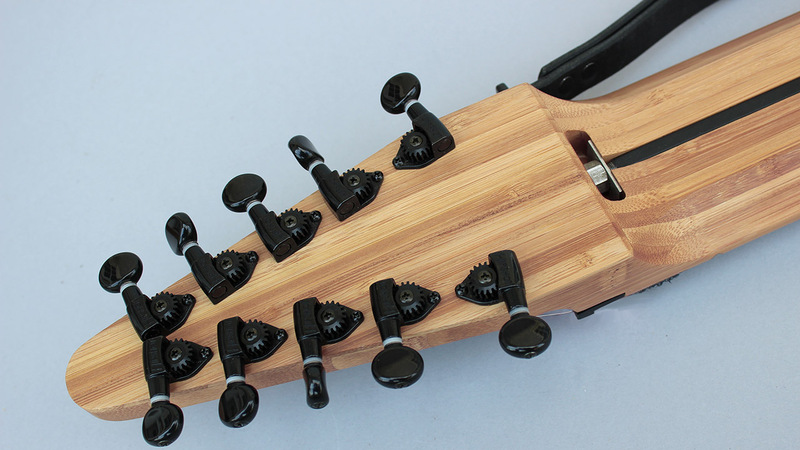 Available in a variety of bass and guitar oriented tunings. 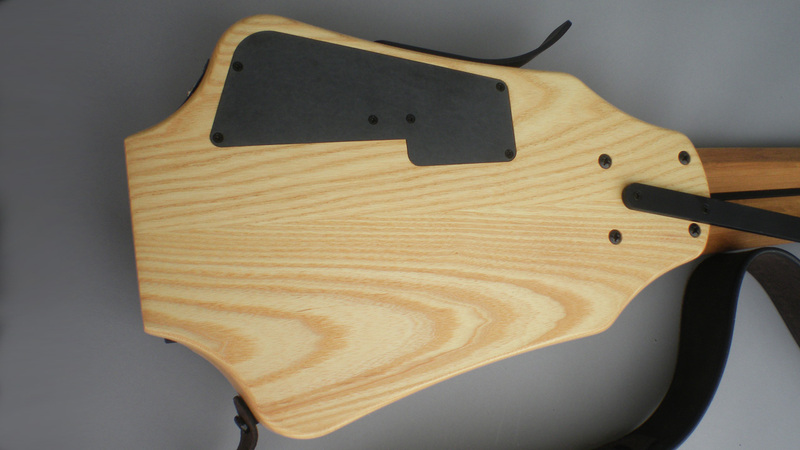 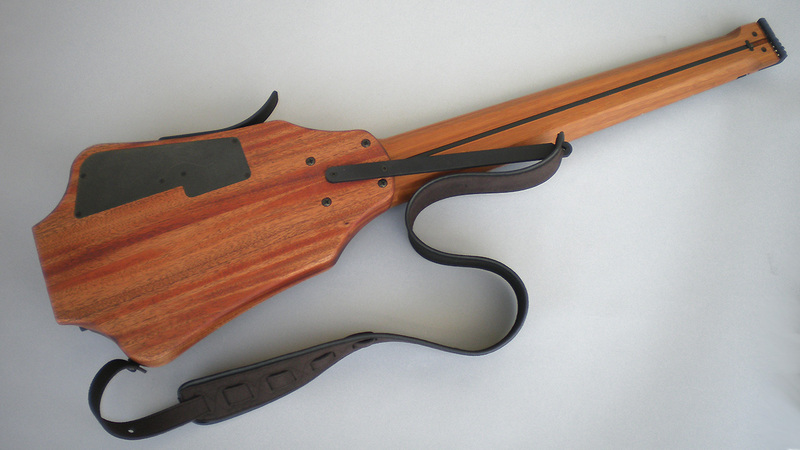 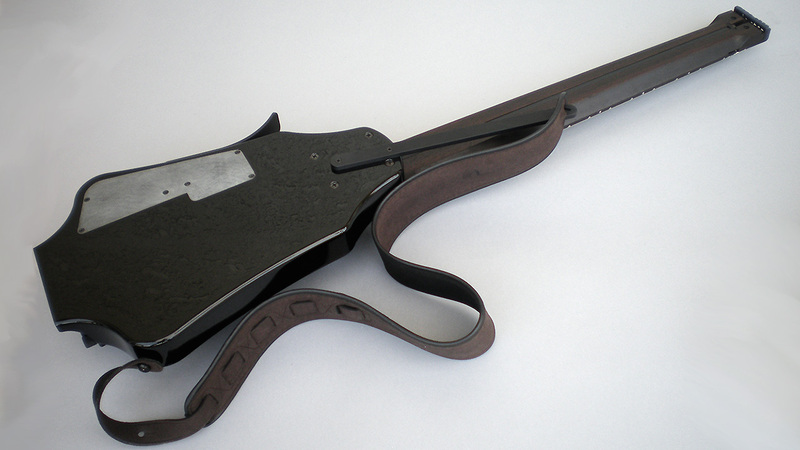 Mahogany body NS/Stick with Wenge neck. 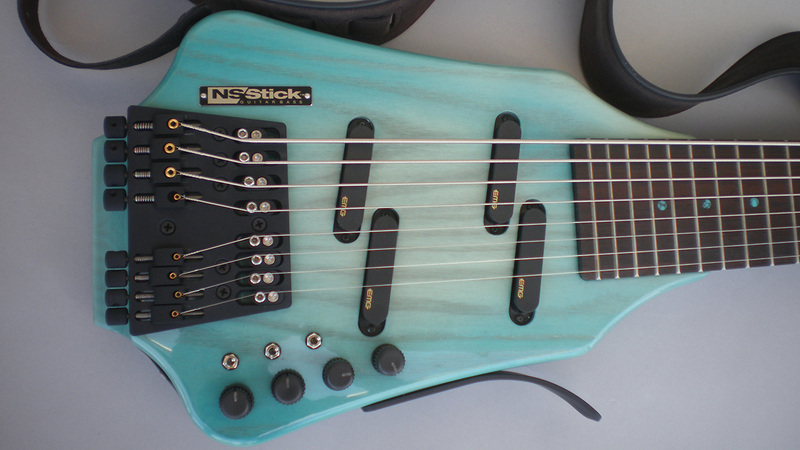 For more about this model, please see NS/Stick. 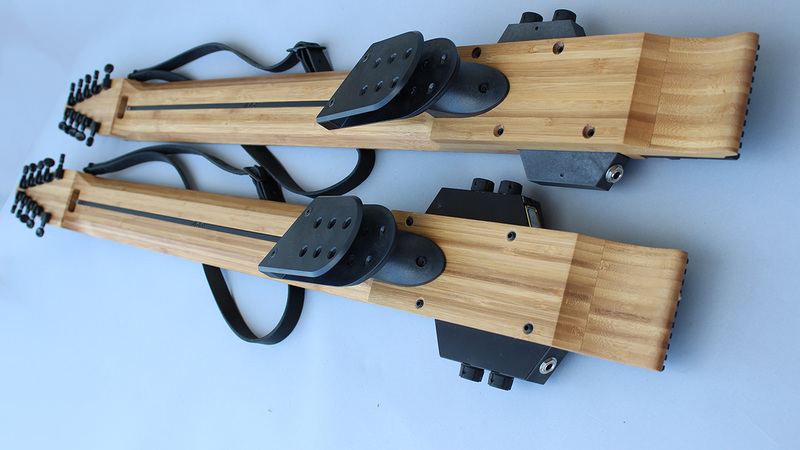 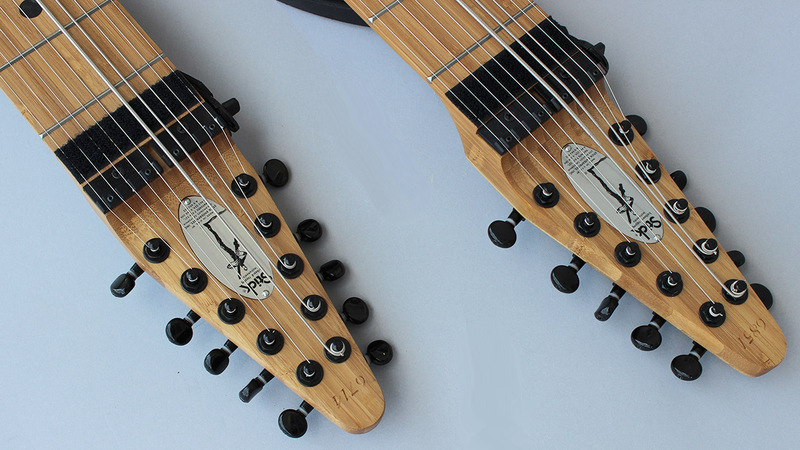 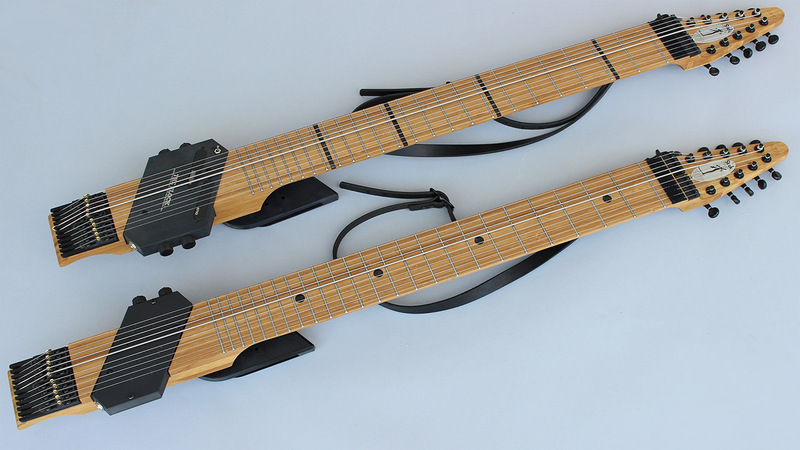 Two bamboo 10-string Sticks. 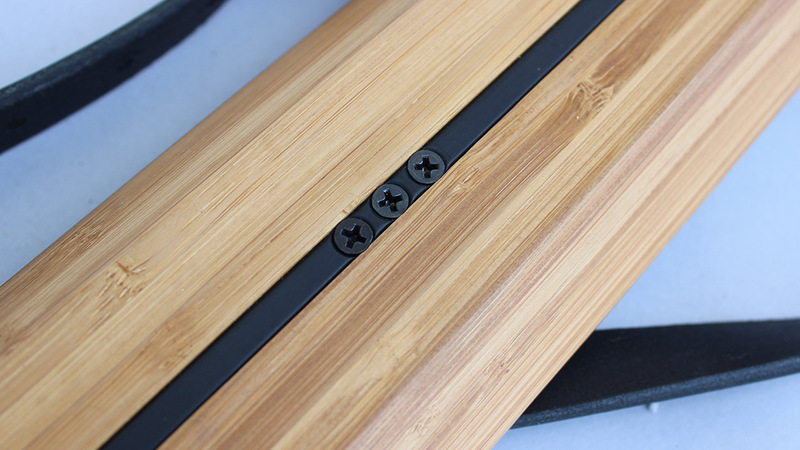 To learn more about our bamboo laminates, please see bamboo. 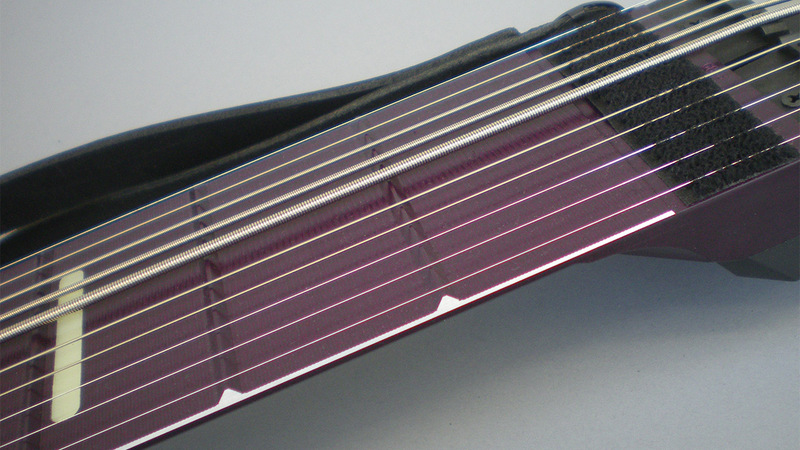 Plum anodized Railboard with "glow" linear inlays and black and gold tuners. 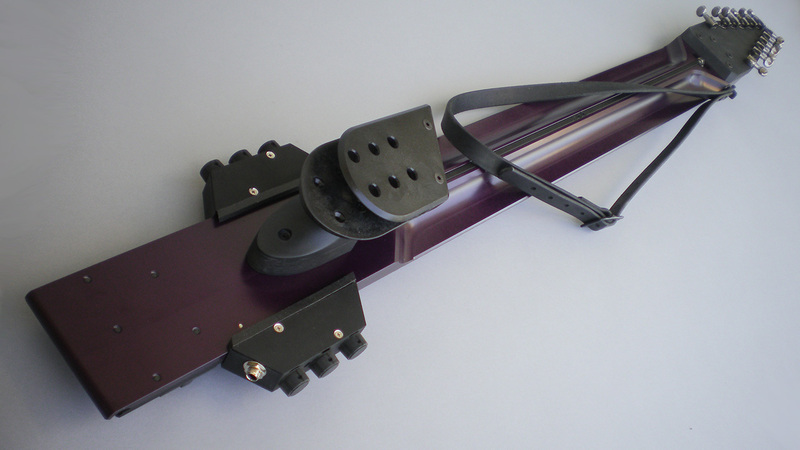 For more about this model see: Railboard.